Welcome to my 2018 Holiday Gift Guide! Below, you’ll find gifts for everyone on your list, from moms and dads to tots and teens! There’s even a section for pet gift ideas! 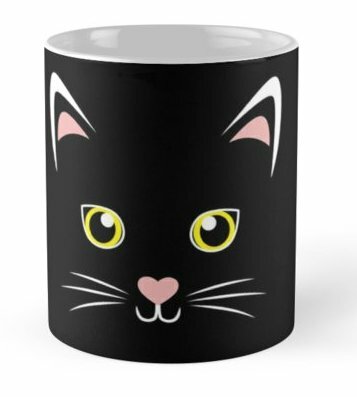 I will be adding new gift ideas every week, so be sure to bookmark this page and come back! I usually do “Gifts for Her” and “Gifts for Him,” but this year I’m combining them. I realized that a lot of the gifts in the “him” section are things that I personally love for myself (like the tech gifts, for example). I don’t want to perpetuate the myth that women can’t enjoy tech gifts, or that guys can’t enjoy spa products! So, this year, one category encompasses both! A must-have for any book lover! I say this every night at 2AM, then wonder why I’m tired the next morning! 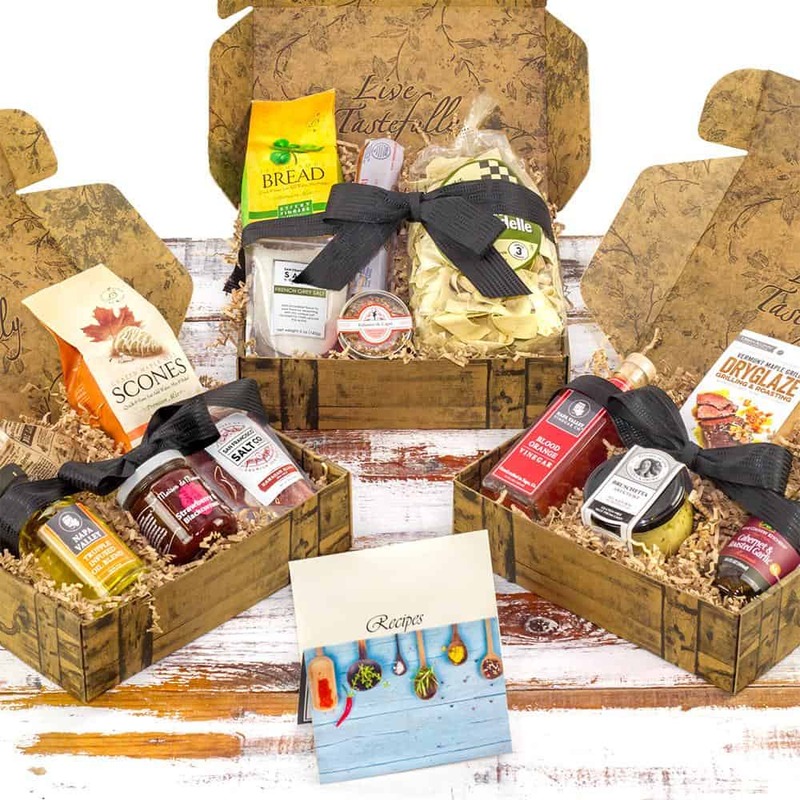 Each box features 5-7 goodies that will help you live a happier and healthier life. Goodies range from aromatherapy, organic bath, and body/skincare products. 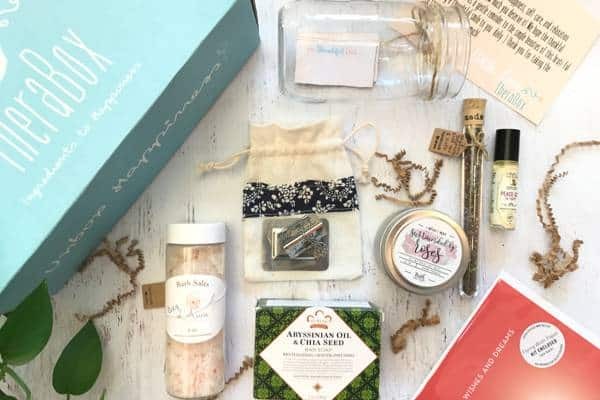 Check our more awesome beauty subscription box gift ideas here. 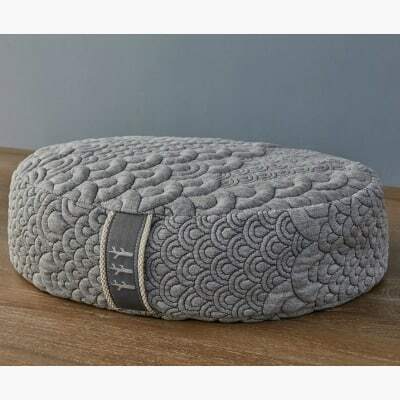 This pillow brings just enough height and support to help you with your meditation. It allows the curves of your spine to fall into place for extended periods of comfortable sitting. I got mine back in 2016, and I still use it every day! 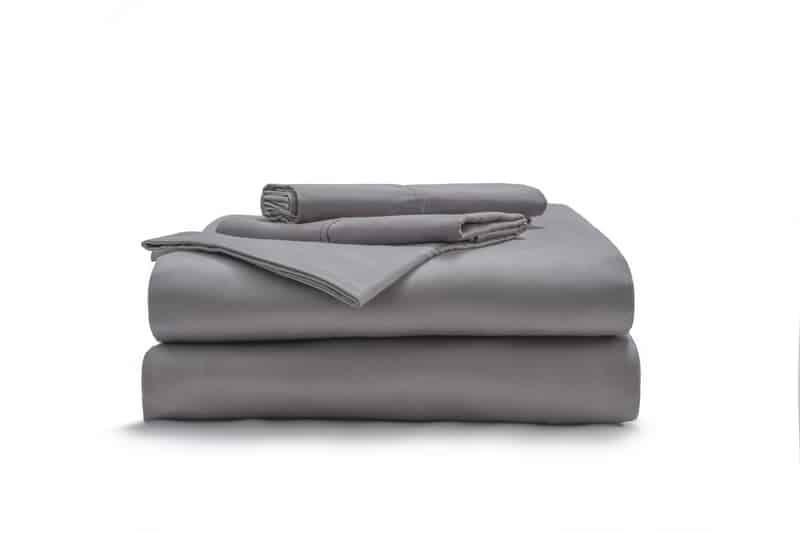 As someone who owns just two sets of sheets (one is this set), I can tell you that I love getting them as gifts! These sheets by California Design Den are super comfy and pretty! 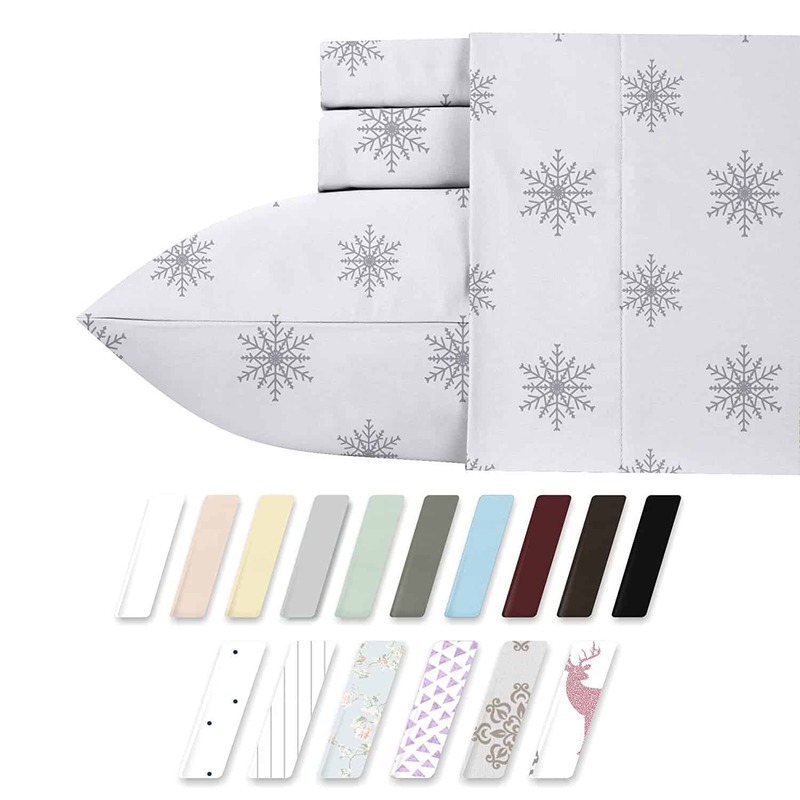 I have the Smoked Pearl, but the Snowflakes set is a super cute gift idea! Give a gift that keeps on giving long after the holidays are over! Plants improve air quality and brighten up a dreary room all year round. 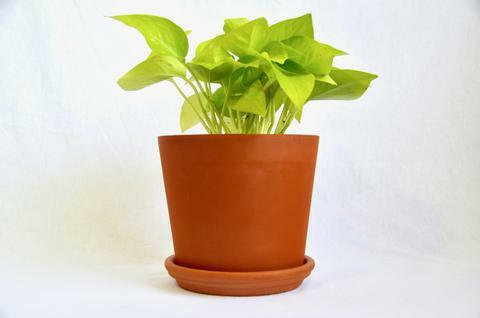 House Plants Shop has a TON of different types of plants in every budget and for every care level, so even someone who is notoriously bad with plants can find the perfect little green companion! I recommend the succulents! I’m awful with plants, but even I can keep these little guys alive! They even have a monthly House Plant Subscription Box! 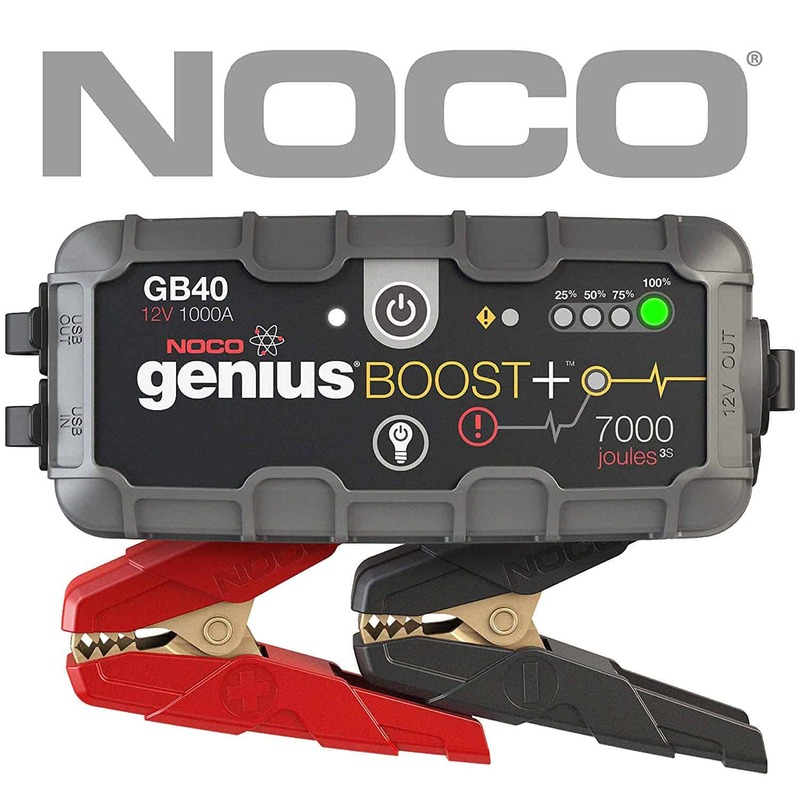 Give the gift of safety with the NOCO Genius Boost Plus GB40! This portable car battery jumper is small enough to fit in the corner of your trunk, yet powerful enough to provide up to 20 jumps on a single charge. It’s ultra-safe and totally mistake-proof, meaning it won’t spark or cause problems with reverse polarity. It includes a bright flashlight so that you can jump your car in the dark, plus an SOS strobe to alert others that you need help. You can even recharge your phone, tablets, and more with it. It’s a must-have for anyone who drives, especially during the winter when dead batteries are more likely and also more dangerous. Taste Trunk has several different boxes for all price ranges. My favorite is the Gourmet Box, which comes with items centered around a fancy dinner party, and includes elements for a 3-course meal. 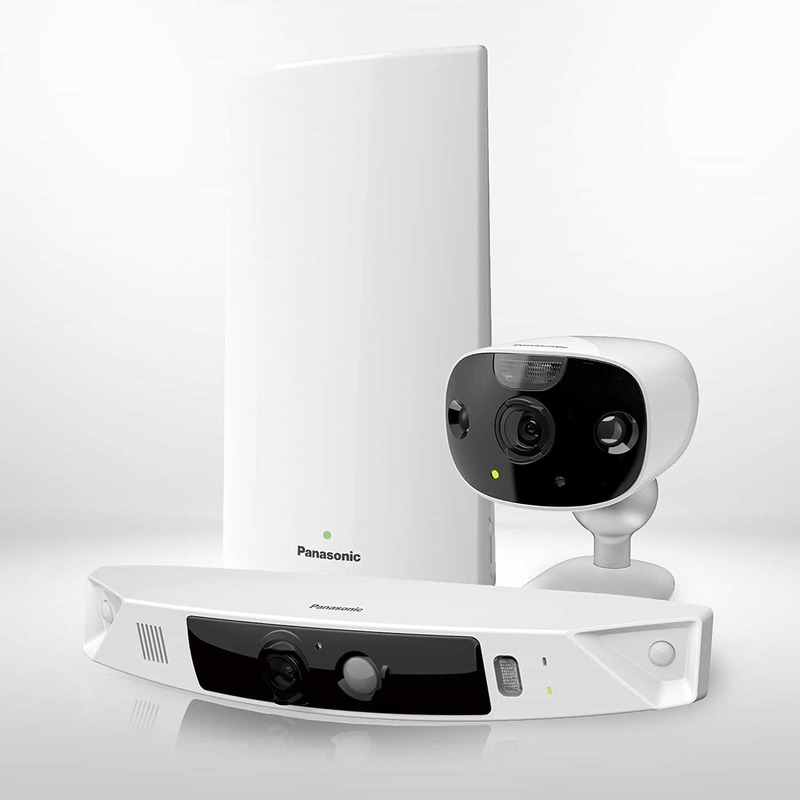 The Panasonic HomeHawk security camera is perfect for anyone who wants to keep a closer eye on what goes on outside their home. It’s super easy to set up and doesn’t require a subscription. Check out my review here. 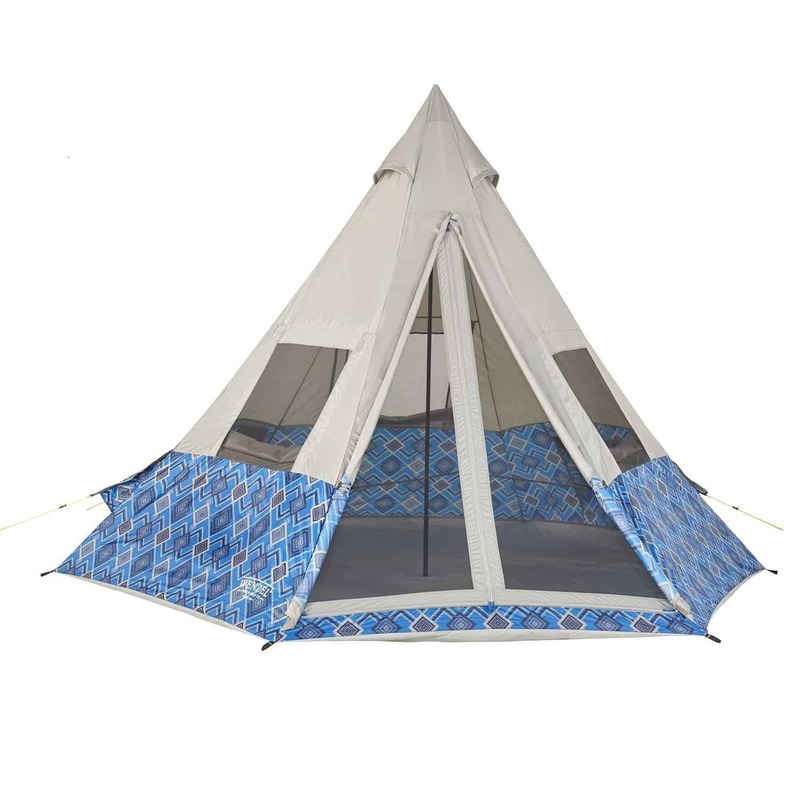 If your family loves camping, the Wenzel Shenanigan Tent is a must-have! It’s super roomy and easy enough that even I could set it up! Plus, it’s absolutely gorgeous! Learn more here. 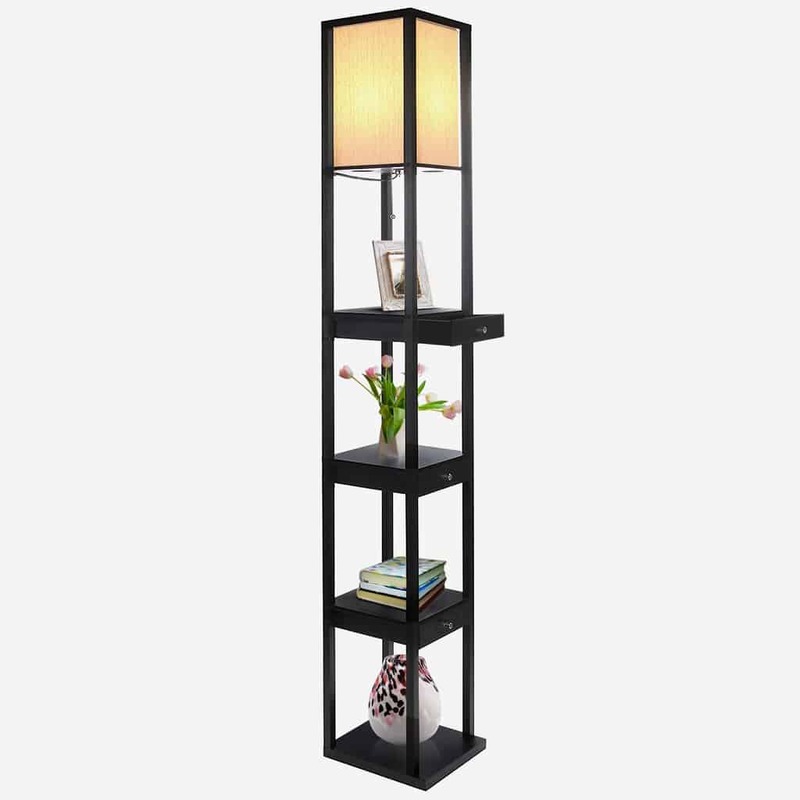 I’m working on a review of this lamp/shelf combo, but I can tell you right now that I absolutely love it! It adds much-needed storage to my bedroom yet only takes up about a foot of floor space. It’s absolutely gorgeous, too! 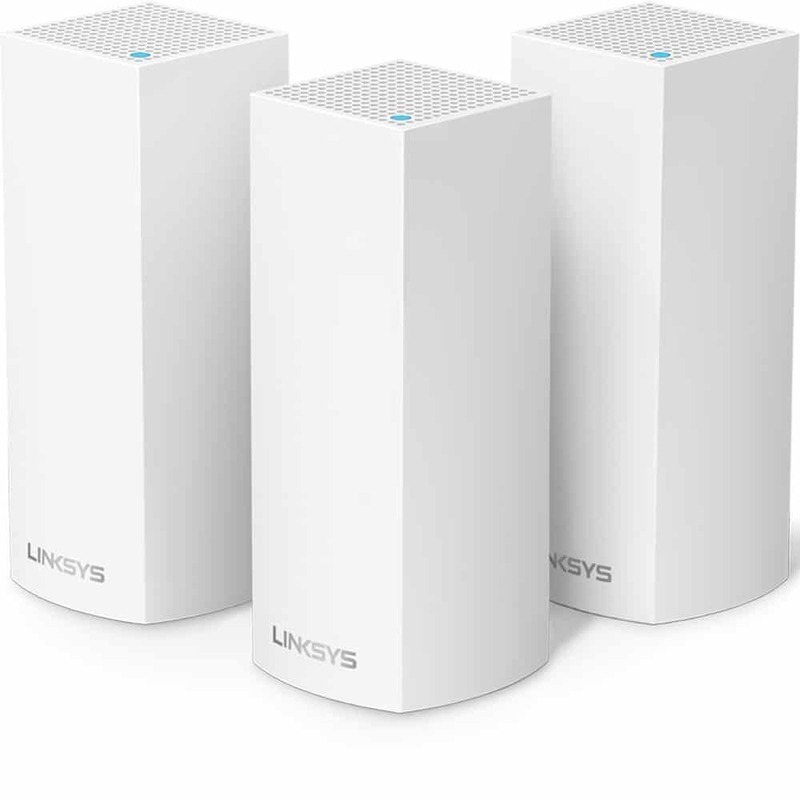 While the Linksys Velop is a techie’s dream router system, you don’t have to be technologically advanced to love this gift idea! If your home is like mine and you have over a dozen devices connected to the internet, you absolutely want the Velop! Learn more here. 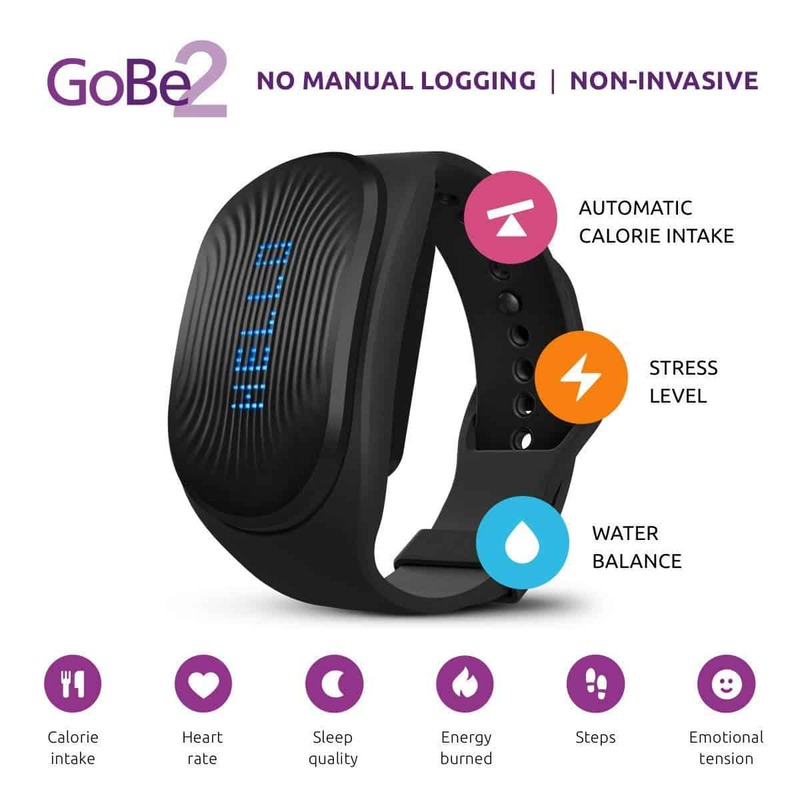 In a world filled with fitness bands, GoBe2 by Healbe stands out! It tracks everything from your steps to your hydration levels. It even tracks your calorie intake! Learn all about it here. The Gift Ideas for Little Kids section includes toys appropriate for birth through age 5. Please check the age recommendation for each toy, because obviously a toy that’s good for a toddler may not be ideal for a young baby, and vice-versa. Give kids the gift of an unlimited library with Epic! They set me up with a 3-month membership to check it out, and I absolutely adore it! They have SO many great books for kids from tots all the way to tweens. Along with their incredible library, kids can also access fun quizzes and games, watch videos, or even participate in reading challenges! Cubcoats are just about the coolest coats on the planet! They are super soft hoodies that transform into plush friends, then back into a cozy coat. 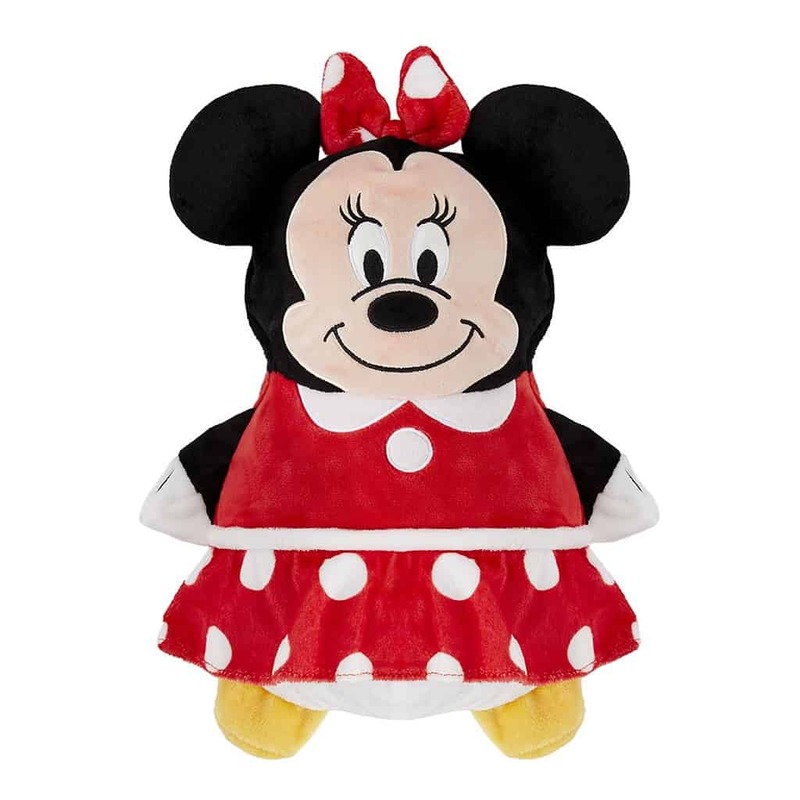 I received the Minnie Mouse one for my friend’s daughter and it was such a huge hit, she asked if they made them for adults! Alas, it doesn’t appear that they do. The material is insanely soft, ethically sourced, and machine washable. I want one for myself! 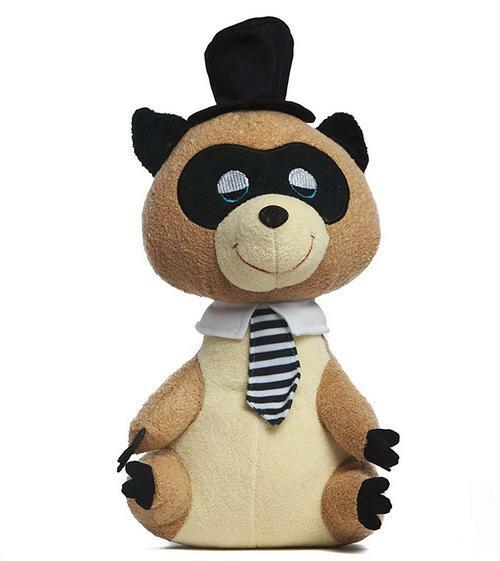 These adorable low-tech plush toys are perfect for little kids ages 12 months and up! Each super soft, huggable pet comes with a little card that shares his or her own dream. For example, Rusty wants to go to ballet school! See them all here. I fell in love with Fingerlings HUGS when I reviewed them in September. Alas, I gave my HUG away to my friend’s daughter because she is obsessed with Fingerlings. 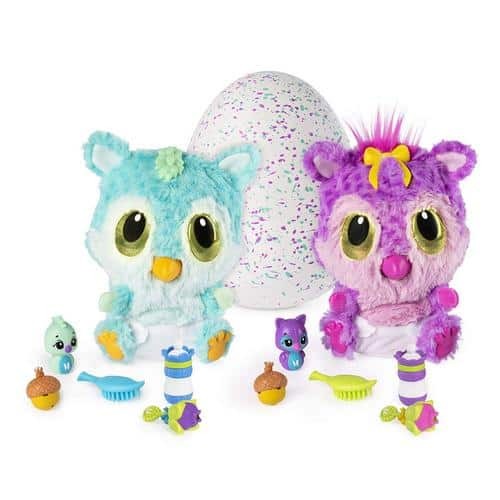 These lovable plush toys are interactive like the original Fingerlings, but a lot cuddlier! 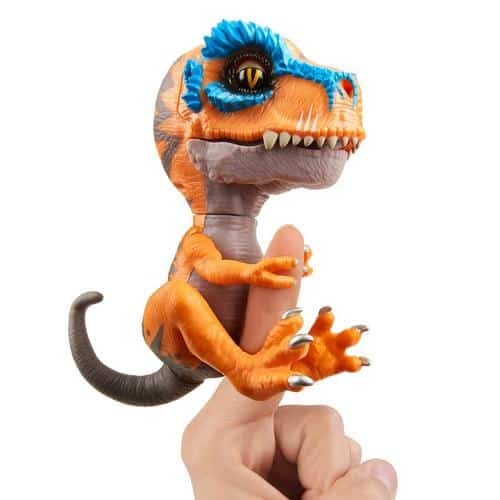 Untamed T-Rex by Fingerlings is part of a fun collection of interactive dinosaurs from WowWee. Each vibrant dino has two modes: tame and untamed. Your child’s actions either unleash his wild side or soothe the savage beast! Learn more about the features here. Little kids will love playing vet with this adorable set from Melissa & Doug! 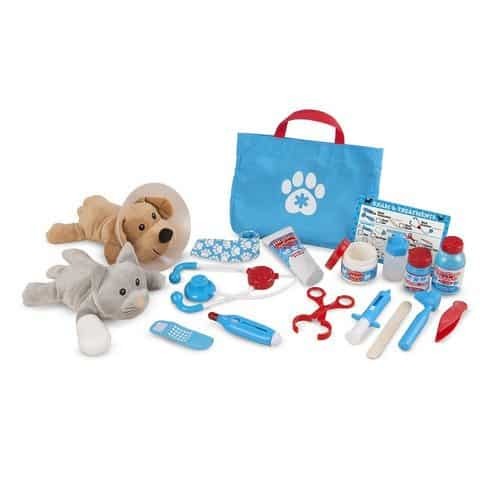 The 24-piece vet set comes with plush dog and cat and fun veterinarian role playing accessories. It’s a great toy for teaching kids compassion and empathy. 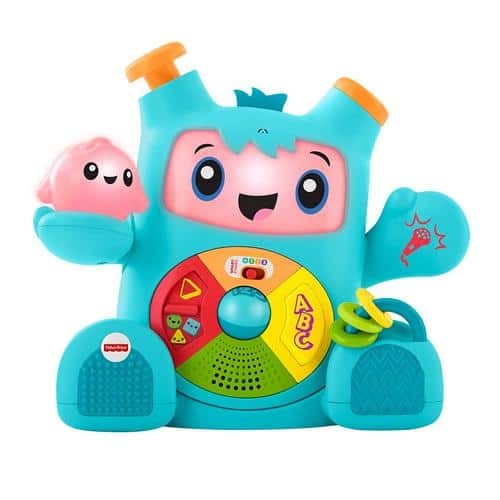 One of Amazons Top 100 Toys is one of my favorites for tiny tots. Rockit and Glow interact with each other and your child, encouraging babies to play along. It includes over 100 songs and phrases that teach everything from the ABCs to shapes & colors. Toy Library is a bit different from the other gift ideas for little kids because it’s not a “one and done” deal. You can gift a subscription, then kids get toys to play with until they’re done, and trade them in for new (to them) toys. It’s kind of like old-school Netflix but for toys. I spent the week with my niece and nephew recently, and let me tell you: it’s ALL about Paw Patrol with little kids! This toy is on every wish list! 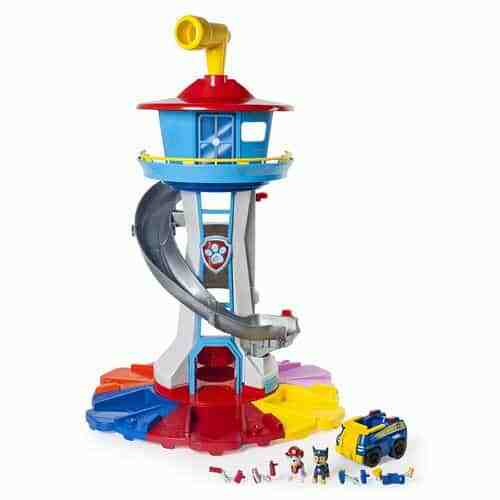 It stands 2.5+” tall and includes 1 My Size Lookout Tower, 1 Chase vehicle, 1 Chase figure, 2 Chase pup packs, 1 Marshall figure, 2 Marshall pup packs! Monster toys are all the rage right now, and I think that’s a great thing! 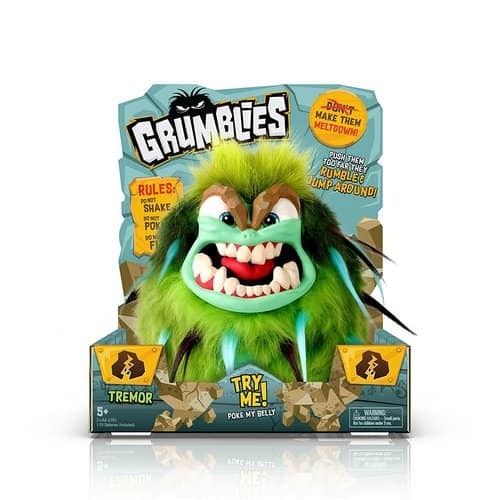 Toys like Grumblies help little kids get over fears of monsters under the bed by turning them into silly playthings. Grumblies get angrier the more you play with them, and your child’s goal is to get them to total meltdown mode! 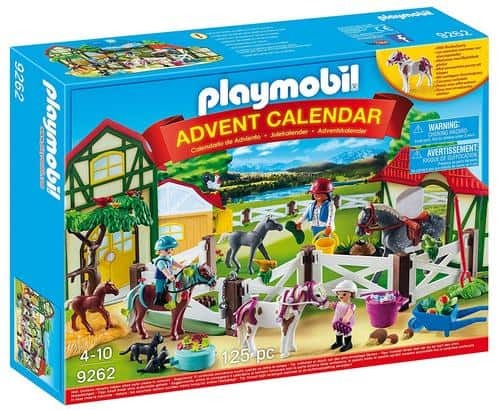 The PLAYMOBIL® Advent Calendar is a great gift to give out at the start of the season to help kids get excited about the holiday. The Horse Farm comes with 24 fun little surprises for each day of the countdown, culminating in a fun set that they can play with long after the holiday. Fisher-Price always has the cutest stuff, but the Rocktopus takes the cake! 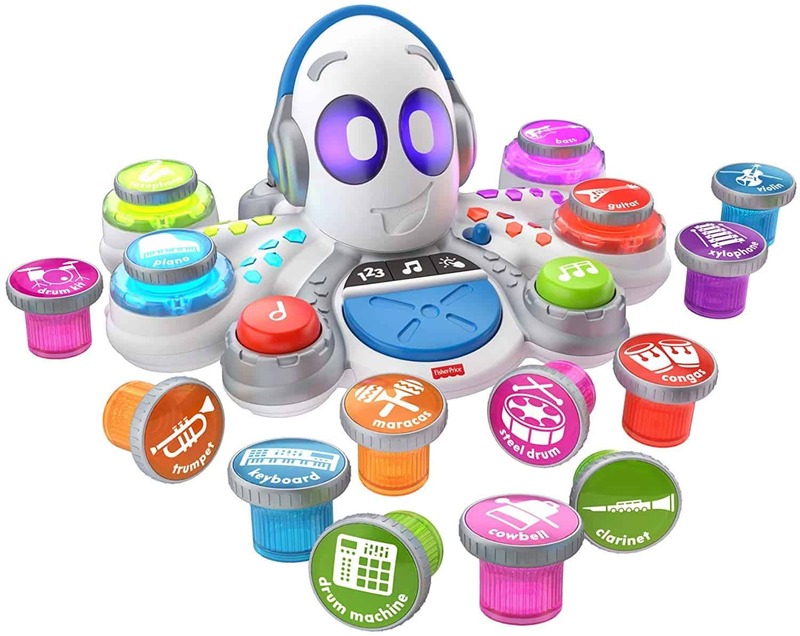 This adorable little guy comes with 15 musical instruments and features 3 different play modes. Kids insert or tap the instruments and Rocktopus responds. Download the free app to take playtime even further! 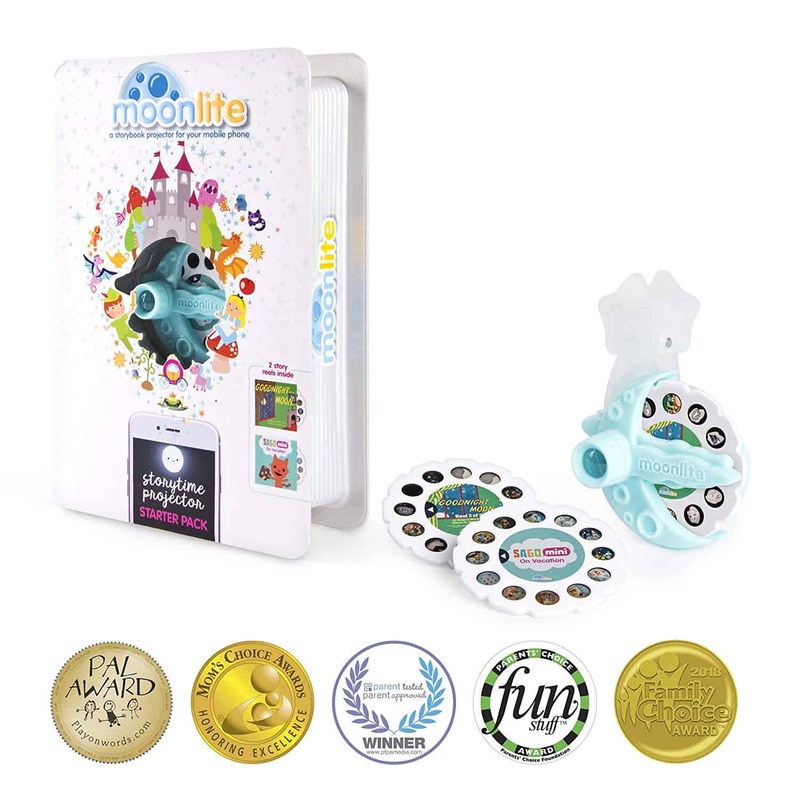 Bring your child’s favorite stories to live with the Moonlite storybook projector! Clip it onto your phone and see how the flashlight projects fun storybook images onto any surface. The app displays the story text and features adorable sound effects. 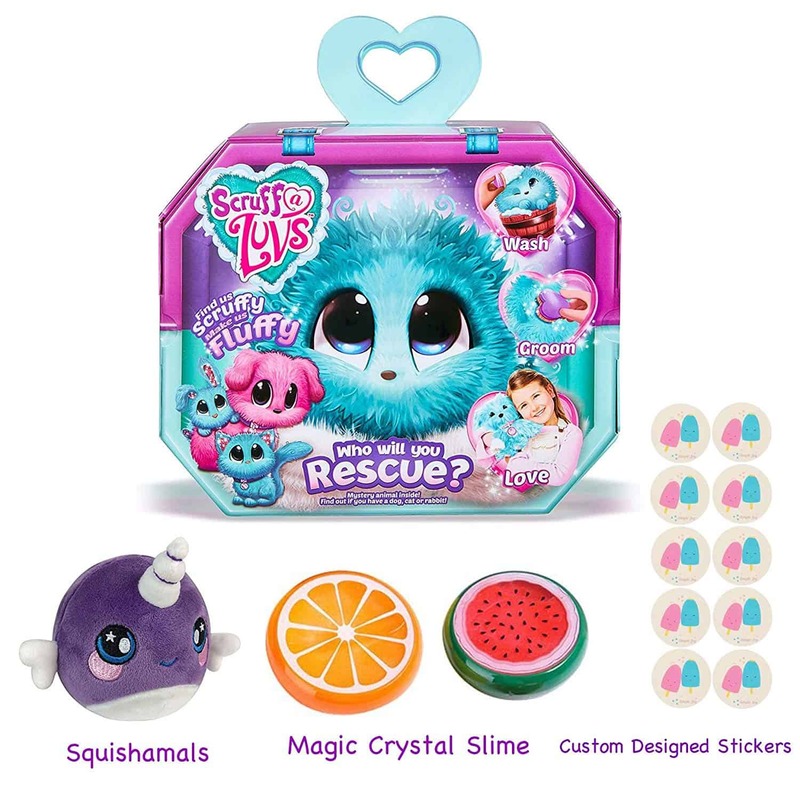 The Scruff-A-Luvs are one of the most popular toys for 2018, and this gift bundle comes with everything kids need to begin their imaginative adventure. It includes a mystery Scruff-A-Luv, magic slime, custom stickers, and a Squishamal. Imaginext was one of Jacob’s favorites when he was little, and I’m happy to see they’re still coming out with great sets. 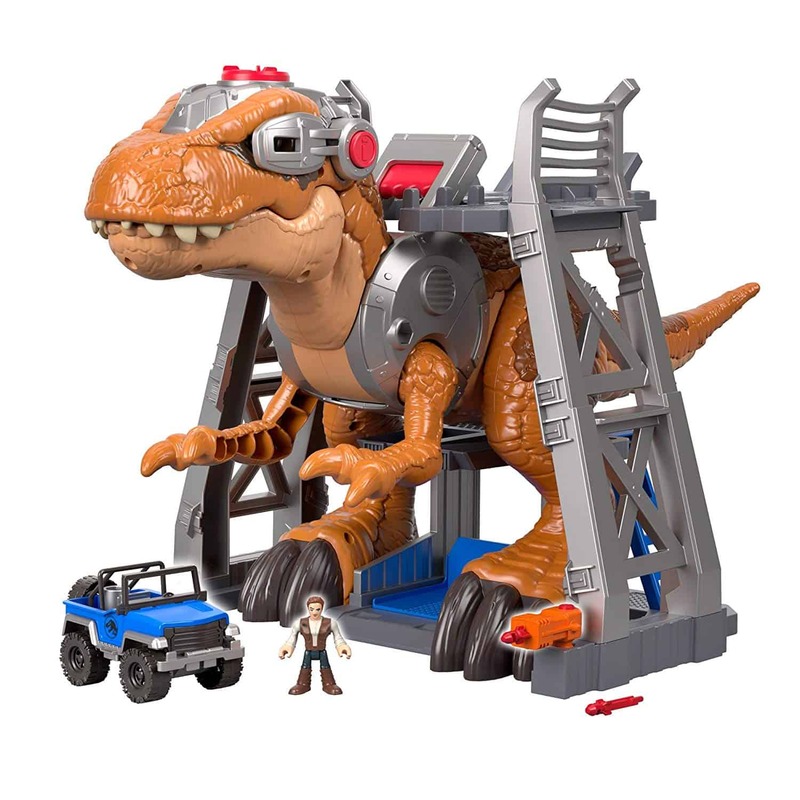 This dino-lover’s set comes with Jurassic Rex, holding base, projectile launcher, 2 projectiles, vehicle & Owen figure. All of the Imaginext sets work well together! Each themed Tadpole Crate comes with easy projects to keep little hands busy, a board book to encourage reading, and other great items. 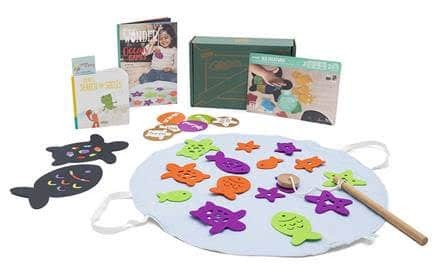 For example, the Ocean Games box includes a match and sort game, a “stained glass” sea creatures project, and more, Tadpole Crate is perfect for ages 0-36 months! Plus, KiwiCo donates a portion of their profits to organizations that support child development research. 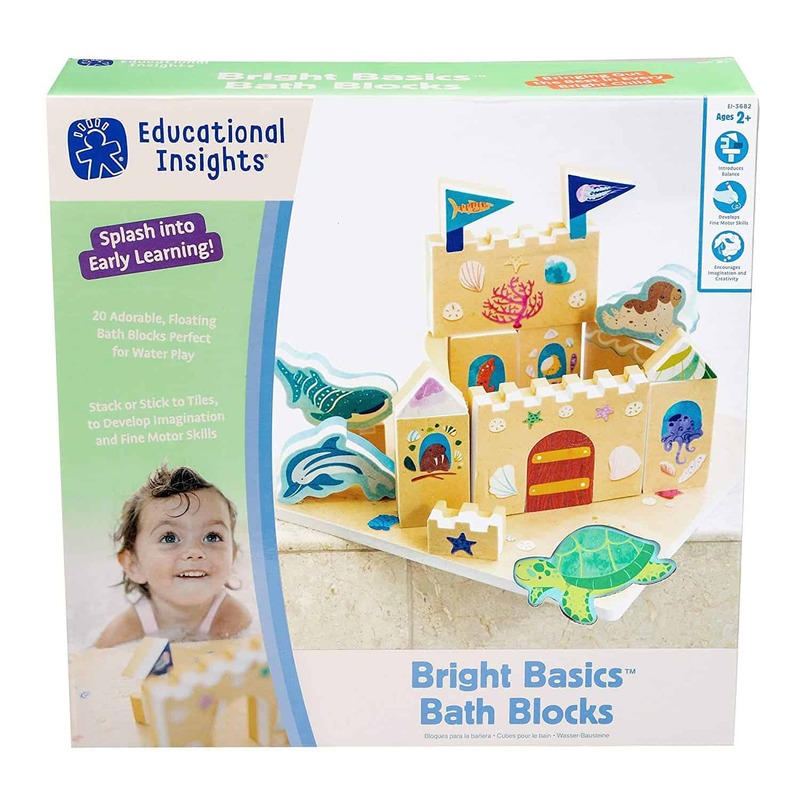 Educational Insights Bright Basics Bath Blocks make bath time fun for ages 2-5! Kids can build their own floating castle with the 20 floating foam pieces! The gender-neutral palace is populated by sea creatures rather than princes or princesses, making this perfect for boys or girls. 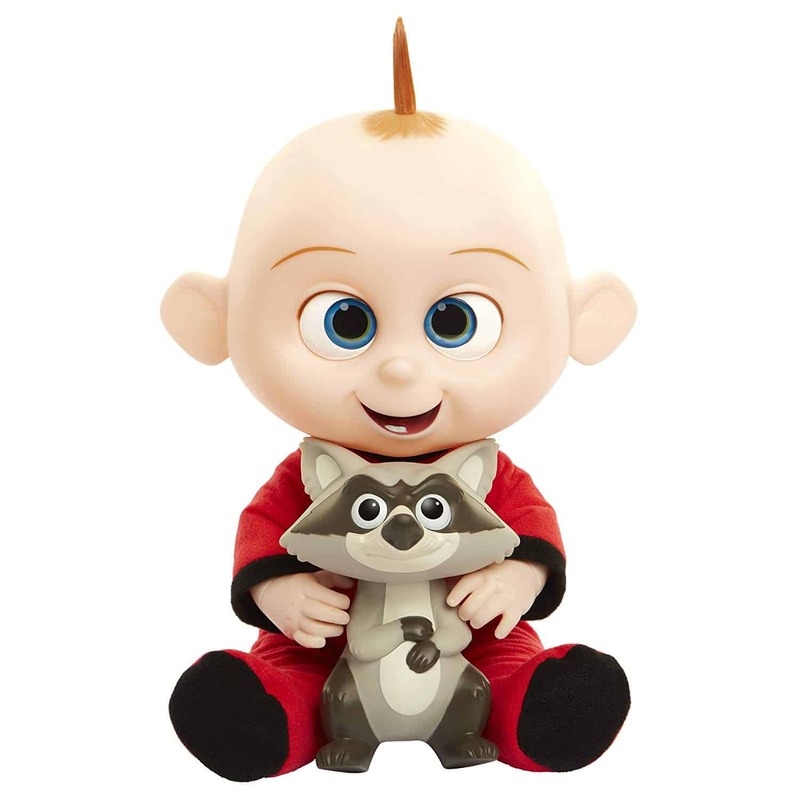 The Incredibles 2 Jack-Jack Plush-Figure features lights & sounds and comes with Raccoon toy. Interactive Jack-Jack is full of fun surprises! Press his belly to hear him laugh, or press and hold to send him into ultimate power mode with lights, colors, and sounds! Jack-Jack is perfect for ages 3+. Educational Insights GeoSafari Jr. Explorer Scope is like two fun educational toys in one. Preschoolers can use it to look at objects up close with the 8x magnification, or far away with the 15x magnification telescope feature. 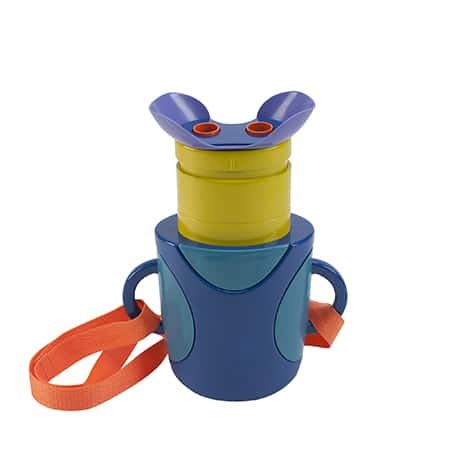 It’s part of the award-winning GeoSafari Jr. line, so you know it’s fantastic. Get this toy for kids ages 3-6. 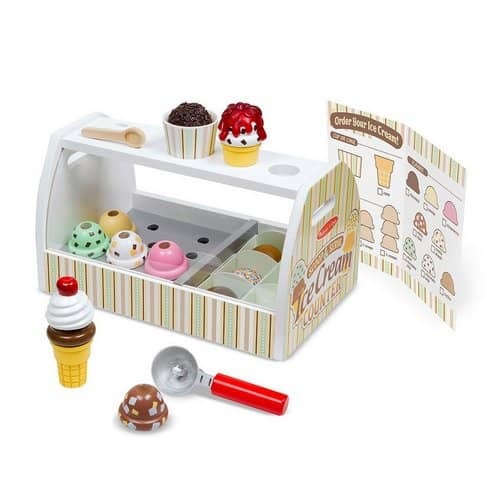 The older kids gift ideas are perfect for children ages 6 to around 12, give or take. If you’re looking for a great STEM toy for budding engineers, you can’t go wrong with Geomag! The Geomag Jump Run uses magnets to connect sturdy pieces to build unique structures. 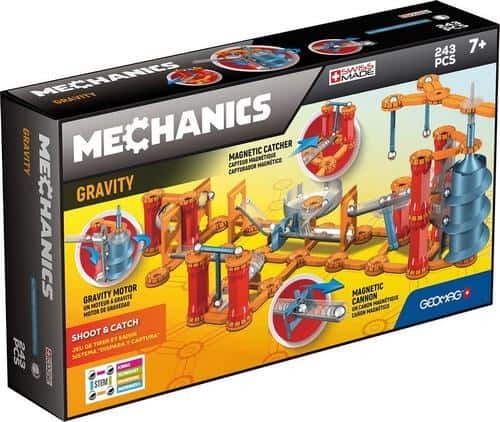 This 243 piece set features a magnetic cannon to launch balls, a magnetic catcher to stop them and gravity motor. Another awesome toy from Geomag, this one teaches kids how to build a motor powered by gravity. All Geomag toys are designed to work together, so you can mix and match sets to create the ultimate engineering experience for your older kids. 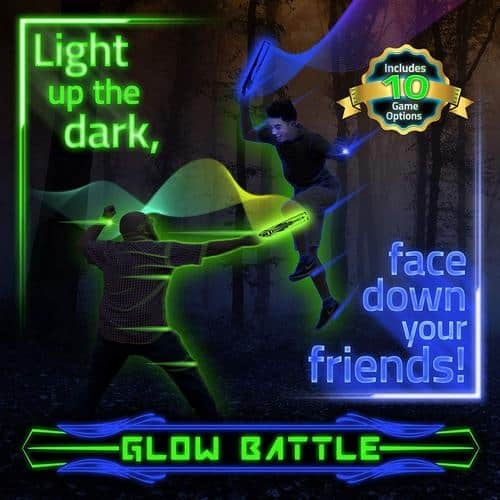 Glow Battle is a fun new game from Starlux that encourages kids to get up and get moving. It’s ideal for ages 8 and up (I had a hard time deciding whether to put it in gift ideas for older kids or teens, actually). The 28 glowing game pieces allow for 10+ players, so it’s a great idea for play groups or to keep on hand as a fun party game! 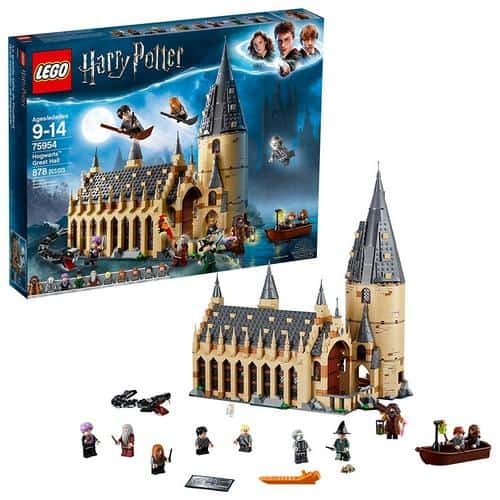 While there are a bunch of fun LEGO Harry Potter kits, this one is the ultimate dream for any kid who ever wanted to go to Hogwarts! Now they can build their very own version and either play it or just proudly display it with their other Harry Potter collectibles! 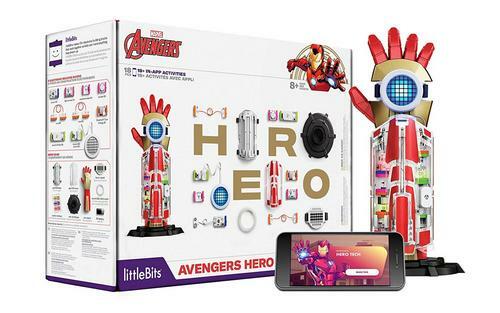 Ideal for kids ages 8+, the littleBits Avengers Kit includes everything kids need to build and customize an interactive electronic Super hero gauntlet: electronic building blocks, LED Matrix, plastic pieces, stickers and battery. The toy teaches STEAM concepts as well as coding (through step-by-step instructions in the app) without any help needed from grownups. As you can see, I’m all about the STEM toys for older kids this year! 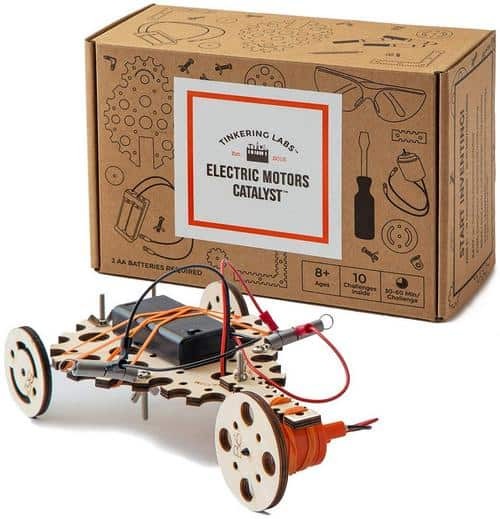 The Tinkering Labs Electric Motors Catalyst STEM Kit is a super cool inventing set for ages 8+. It includes 50+ parts and 10 challenge cards with things like “build a machine that draws curvy lines.” Once they’re done building, they can dismantle it for the next project or just keep playing with their own DIY vehicle. 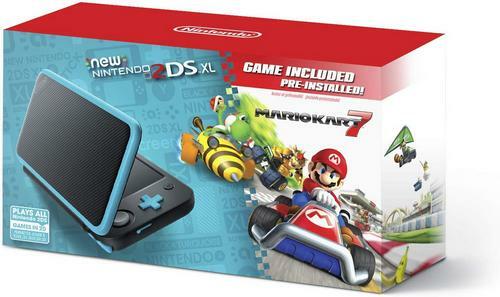 The new Nintendo 2DS XL with Mario Kart preinstalled is a great budget-friendly DS system for older kids. With a massive library of games available, there’s no waiting to find the perfect add-on gifts! They can even download old-school games, like the original Mario Brothers! 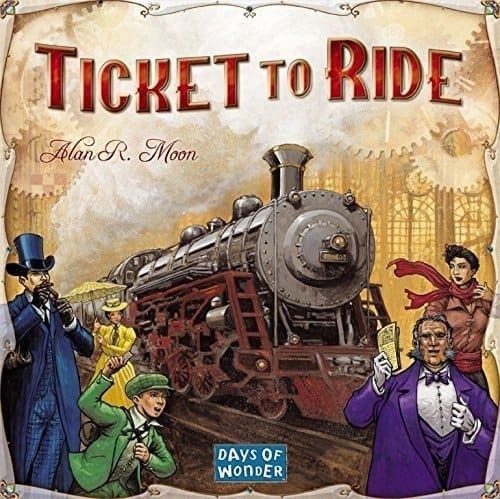 Ticket to Ride is one of the highest-rated family games. The cross-country train adventure comes complete with a detailed board, game cards, help cards, rules, train miniatures and more. Players collect train car cards that enable them to claim railway routes connecting cities throughout North America. The goal is to create the longest routes to earn the most points. 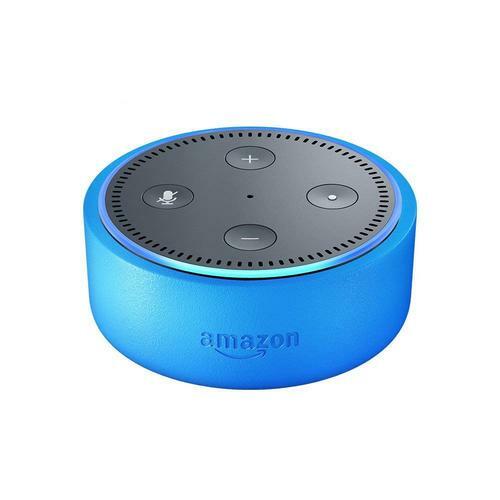 Amazon’s Echo Dot is one of my favorite gift ideas to recommend for just about all ages. This Kids Edition is perfect for older kids ages 5+. Unlike the regular Dot, this one comes with a 1-year subscription to Radio Disney, Nick Radio, and more. It also has more kid-friendly answers to questions like “where do babies come from?” as well as an extended warranty (2 years worry-free, instead of 90 days limited). How insanely cool is this Unicornbot? I kind of want this one for myself! 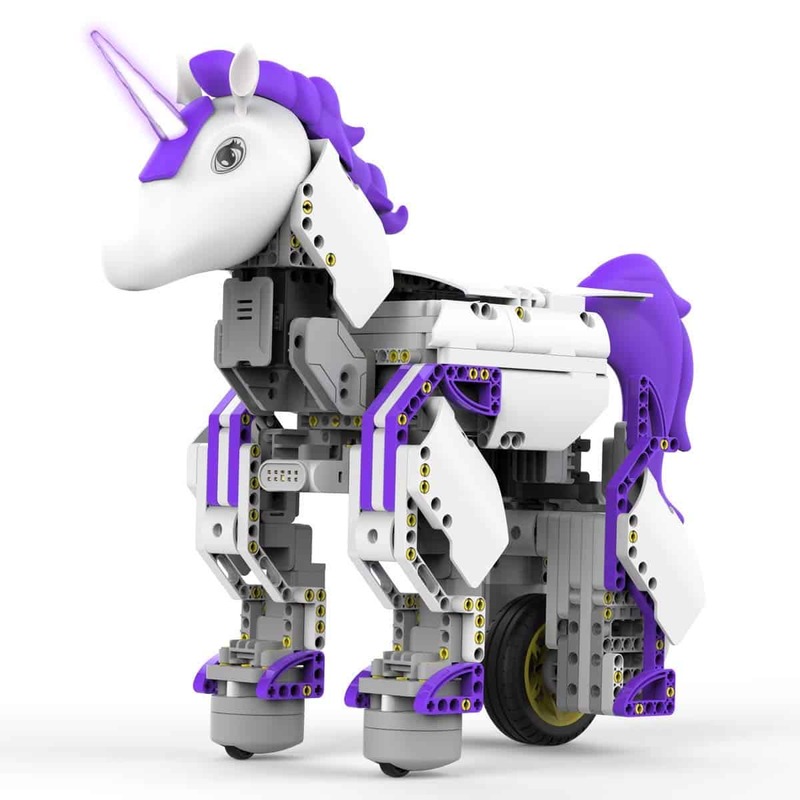 The kit includes 440 snap-together parts (no tools needed), 1 color sensor, 2 smooth motion robotic servo motors, 1 DC motor, 1 rag light-up unicorn horn, 1 main control box. USB cable and quick start guide included. Use the free coding app to program the horn color. 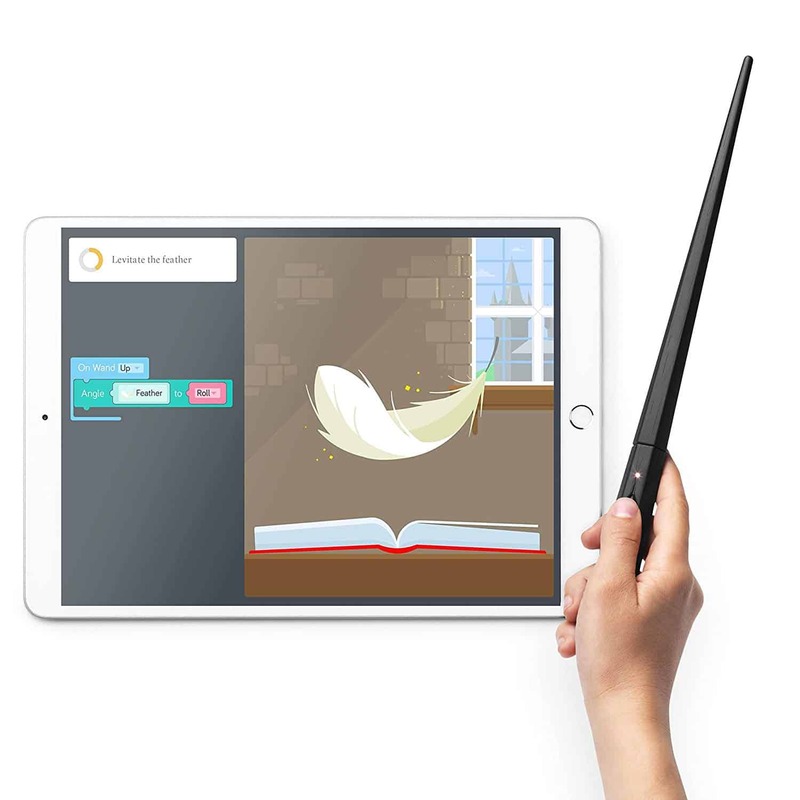 If your kids ever wished they could have Harry Potter’s wand, here’s their chance to build and code their own that responds to their movements! Make feathers fly, goblets multiply, and more! Comes with wand parts, PCB with codeable LED, button, batteries, step-by-step book, stickers, poster, and free Kano app. 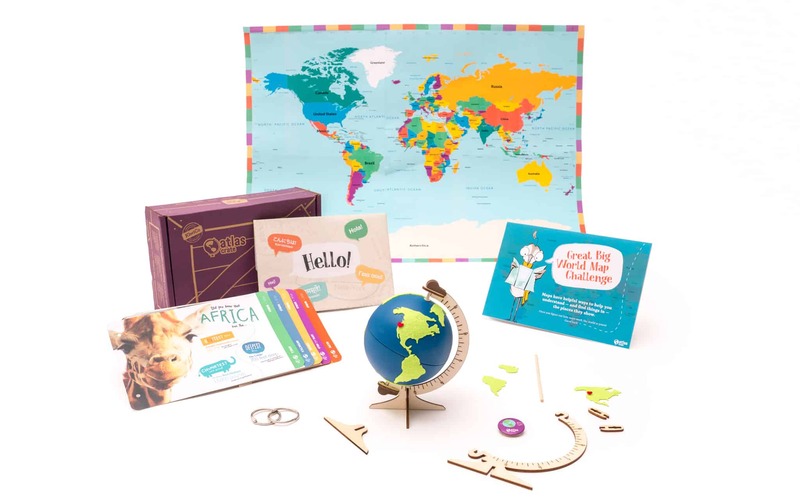 Atlas Crate is a fun subscription box for kids 6-11. Each month, they’ll receive a collection of goodies that take them on an adventure to a specific country, which in turn helps them develop appreciation for other cultures. For example, the Peru box includes a “make your own alpaca” project (SO cute! ), an ancient tossing game, and more. Learning Resources Gears! Gears! Gears! 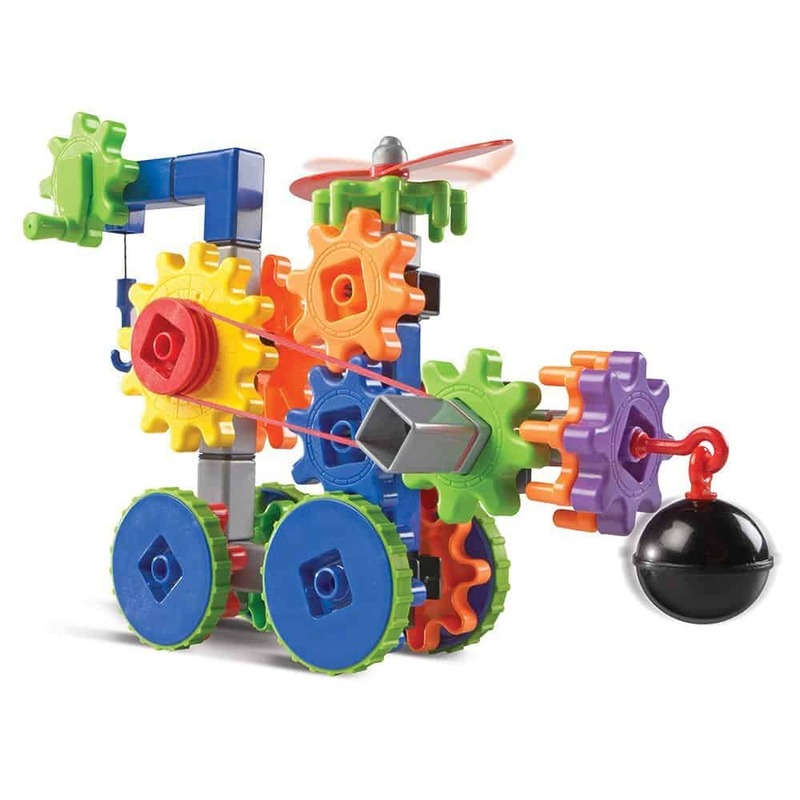 Machines in Motion is perfect for kids (ages 5+) who love to build. 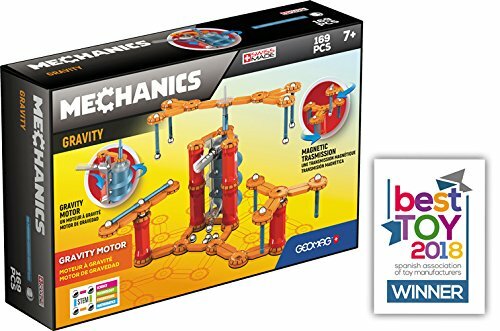 The 116-piece set includes everything kids need to create cars & contraptions that move by physics rather than battery power. Well, everything except imagination. Your child will need to provide that! The pieces work with other Learning Resources Gears sets. Need a great stocking stuffer gift for older kids? 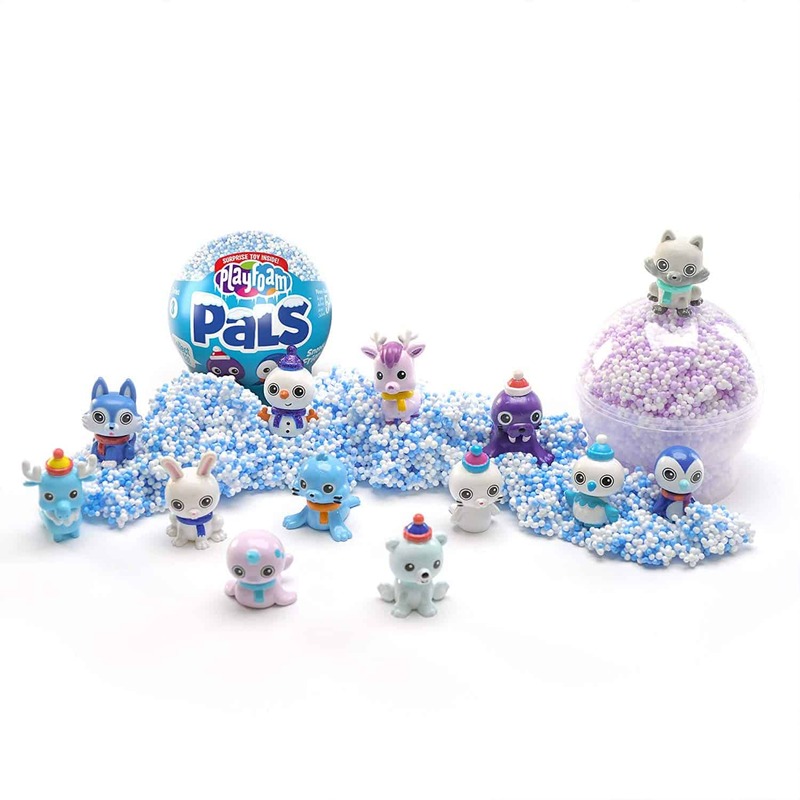 Grab a 6-pack of Educational Insights Playfoam Pals Snowy Friends (also available individually). Each pod comes with a mystery Playfoam Pal hidden in the squishy, reusable Playfoam. Keep an eye out for Sven, the RARE Snowman pal! 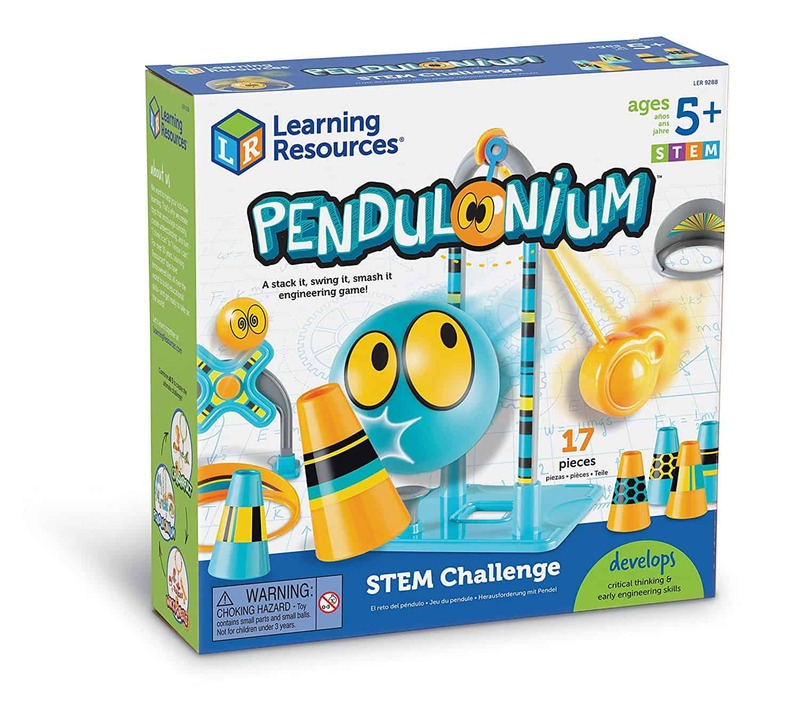 Another great gift idea from Learning Resources, Pendulonium is a STEM-centered game that challenges kids to knock down goal cups with a 3-piece adjustable pendulum. The 100% kid-powered toy teaches hand-eye coordination, physics, and more. It’s perfect for ages 5 and up! Coming up with gift ideas for teens is definitely a challenge! Trust me, I know! My son is 13 this year, and I’m struggling to find him the perfect gifts. These ideas are a great place to start! Most are also appropriate for tweens. I’m in the process of reviewing this lamp, and my son is crazy about it. Change the colors to pretty much any shade in the rainbow or create gorgeous ombre effects through the use of a super easy-to-set-up app. 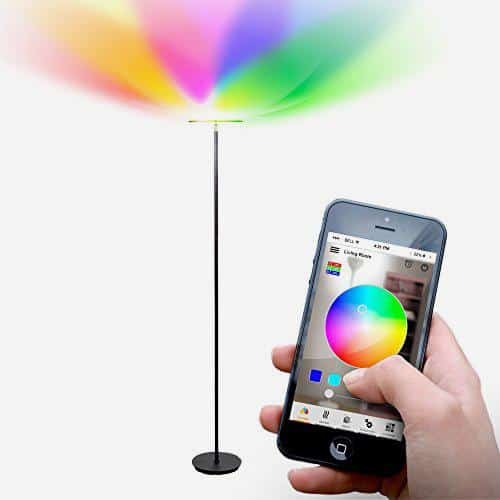 With the app, the lamp also responds to different sounds and music, turning their room into a disco with the touch of a button. It also has a plain white light mode with a “dimmer switch” through the app. It truly is awesome! 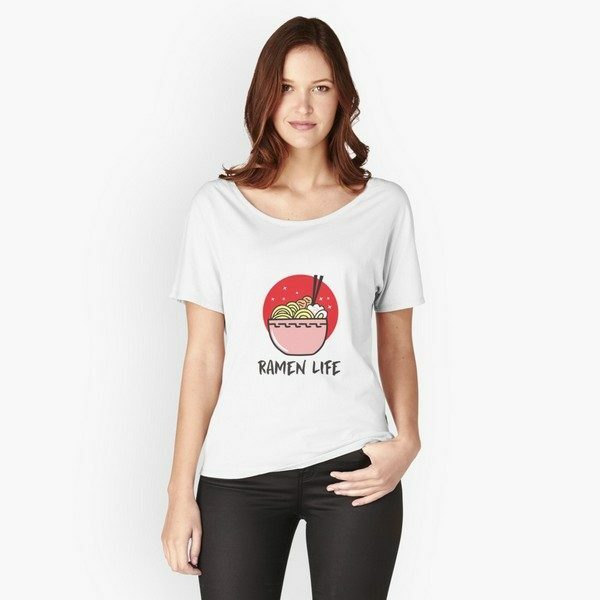 A must-have for anime fans & ramen lovers, this Ramen Life t-shirt comes in multiple colors as well as sizes for youth through adult. It’s currently my son’s favorite t-shirt! I’m thinking about getting him the hoodie version since it’s getting too cold to wear short sleeves. 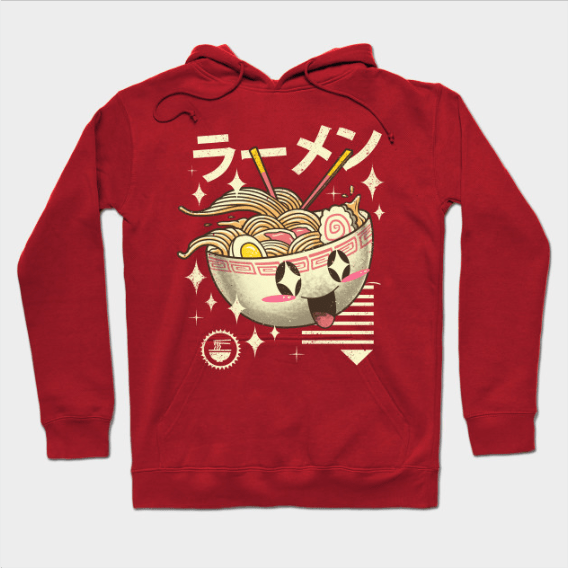 Don’t miss these other great gift ideas for ramen lovers! 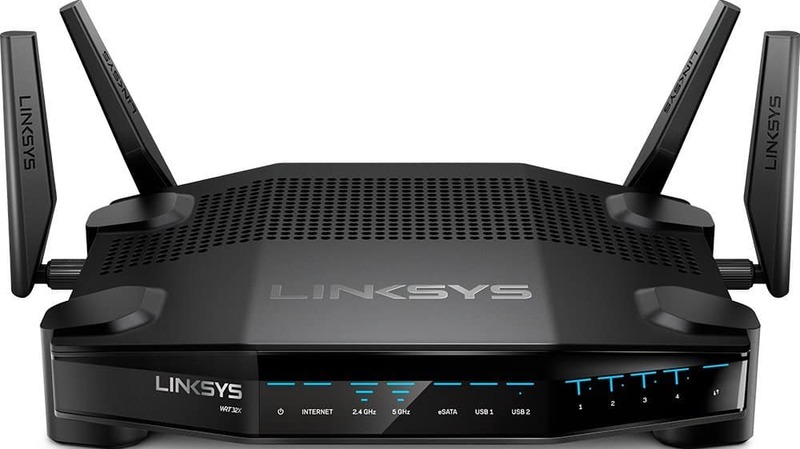 The Linksys Gaming Router is the first router that exists entirely to prioritize gaming. It includes the Killer Prioritization Engine, which helps reduce peak ping by up to 77%, provided your teen’s gaming system is Killer-enabled. Don’t worry, just because this router makes gaming a priority doesn’t mean the rest of the family is left out. We tried it out and found that the rest of our devices still got their fair share of the bandwidth. 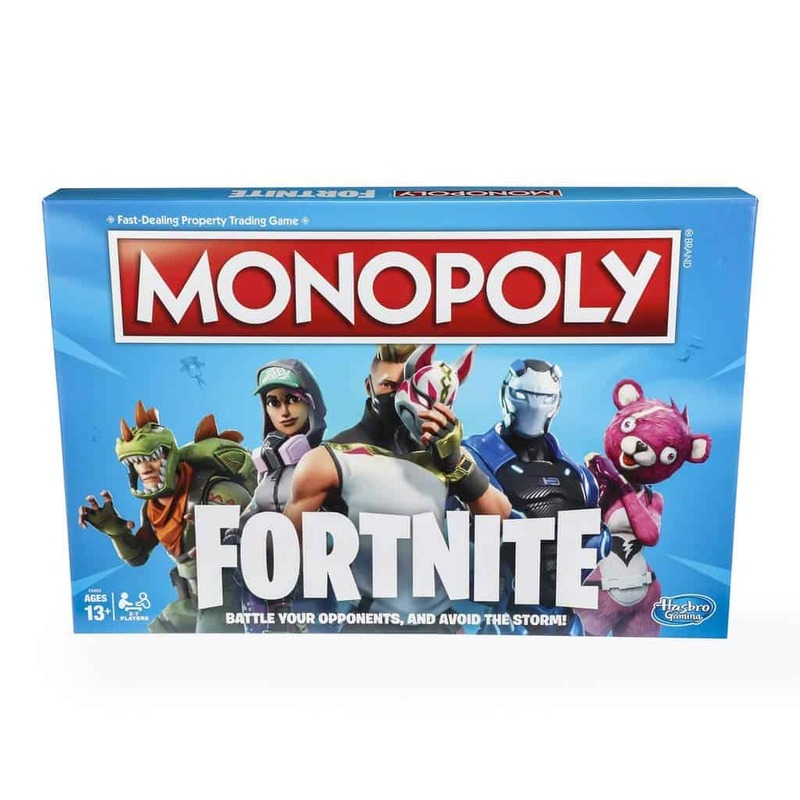 The Monopoly Fortnite Edition isn’t about collecting property, it’s about surviving longer than your opponents. Use loot chest items and the action die to battle opponents and become the last player standing! The game comes with 27 Fortnite outfits with pawn stands, and players can choose to play as their favorite. 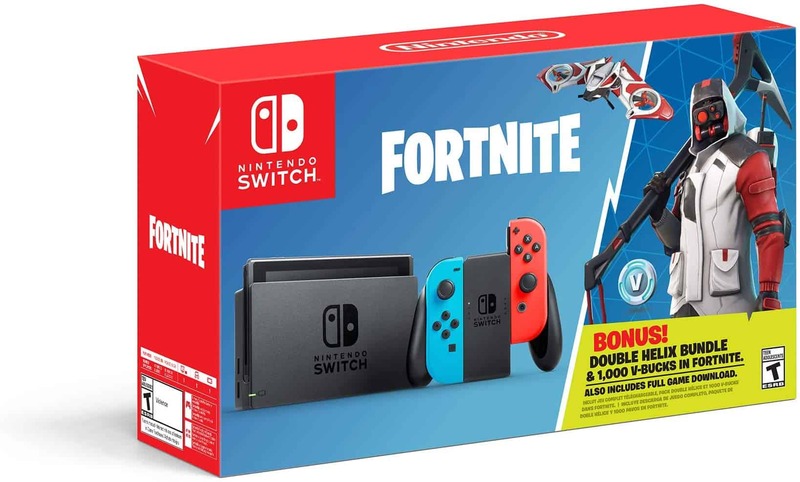 Another great gift idea for Fortnite fans, the Nintendo Switch Fortnite edition comes with the full game download, plus 1,000 V-bucks to use in game. The Double Helix Set includes a unique Character Outfit, Back Bling, Glider and Pickaxe. 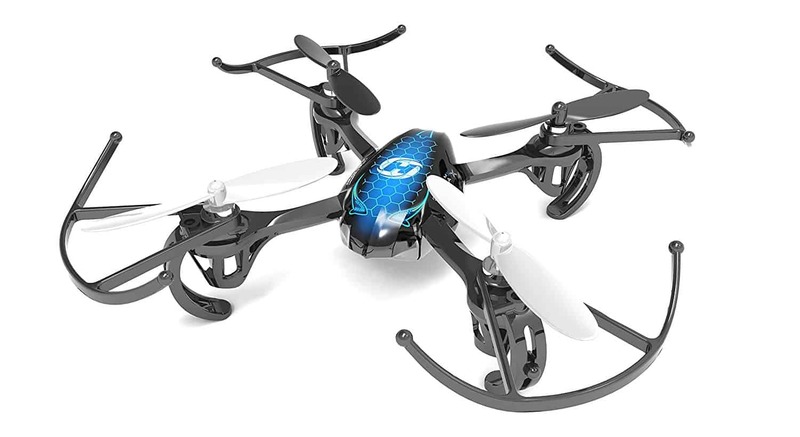 If your teen wants a drone, but you’re not ready to drop hundreds of bucks for something that could crash and burn in an instant, this is a great compromise. It’s basically a training drone that helps teens learn how to actually fly the things before they move on to bigger and more expensive drones. That said, it still offers plenty of excitement and comes highly recommended on Amazon. 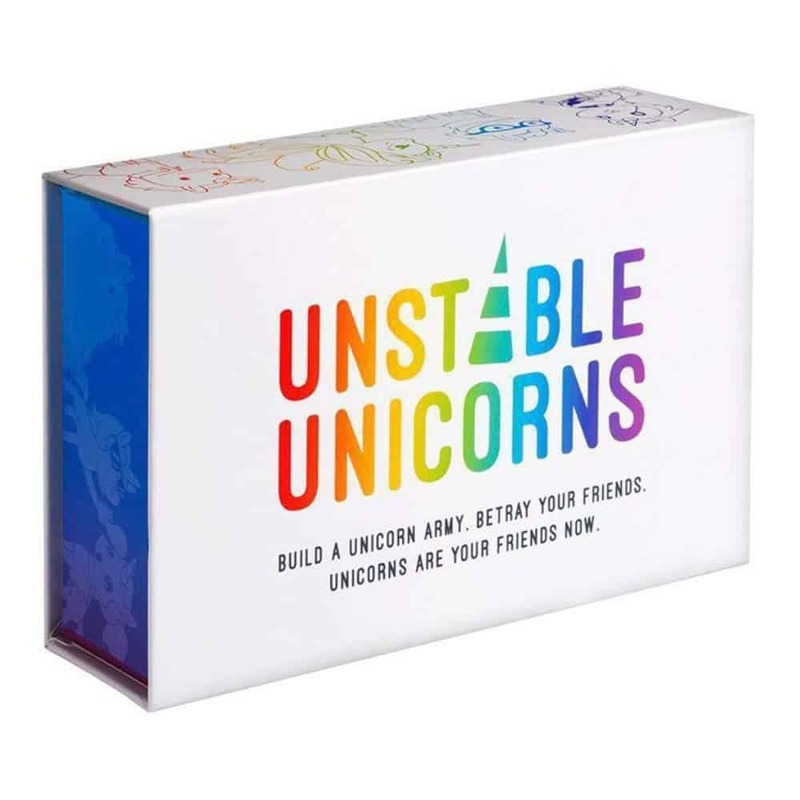 One of Kickstarter’s top 50 most backed projects, Unstable Unicorns is a fun strategic game in which you build a unicorn Army and betray your friends…in a totally good way. The first player to collect 7 unicorns in their army wins. With plenty of cards designed to let your frenemies stop you from advancing, it’s not as easy as it sounds! It’s designed for 2-8 players and is ideal for ages 14+. 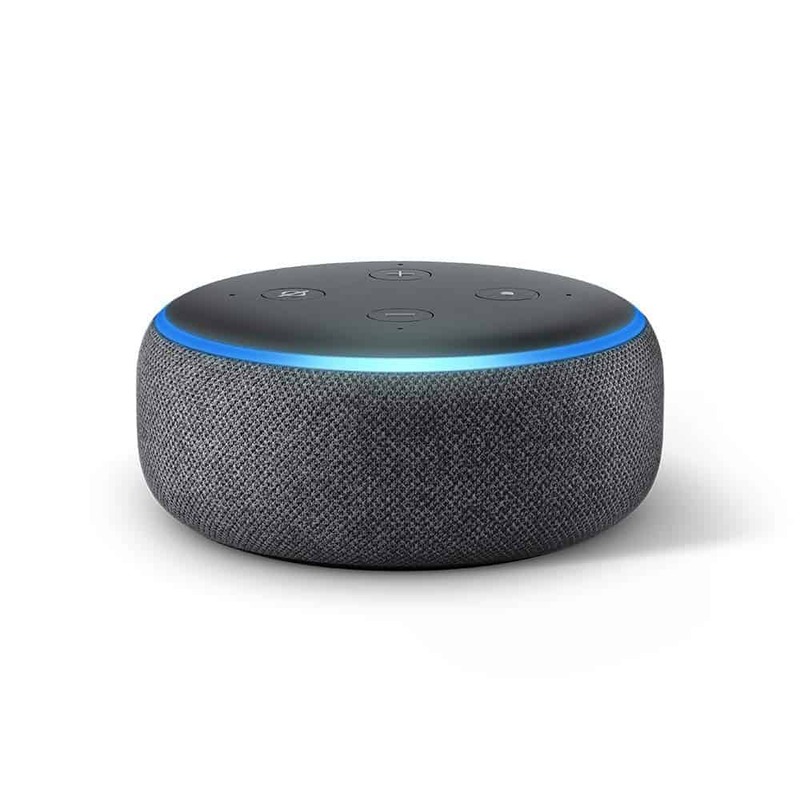 Like I said, the Echo Dot is one of my favorite gifts to recommend for all ages! While the kid version is great for tots and older kids, teens will appreciate the regular Dot. My son uses his every day to play music, ask Alexa homework questions, and more. Anime is super hot among teens right now, so why not give them a book that helps them learn to create their own anime & manga characters? 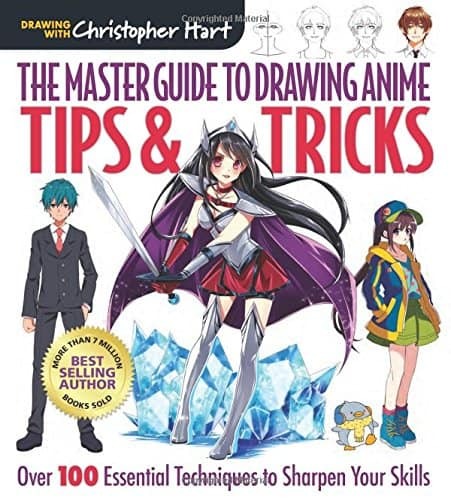 Christopher Hart’s bestselling Master Guide to Drawing Anime series is perfect for every skill level. Got a teen who loves to read? 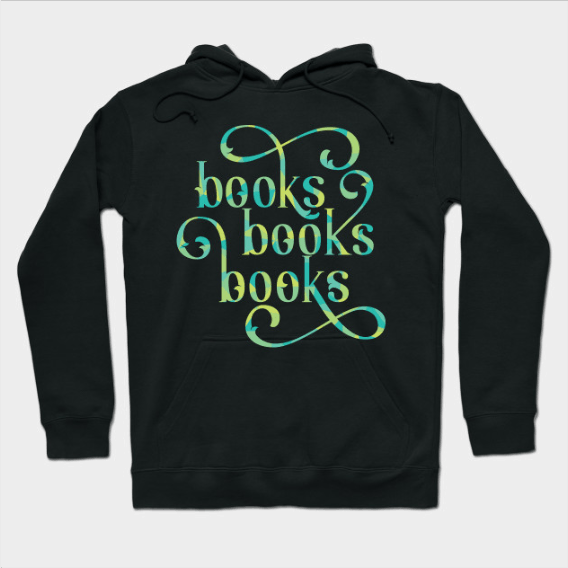 Grab her this awesome Books, Books, Books Hoodie from TeePublic! I have this exact hoodie and the colors are just as vibrant on the real thing as they are in the picture. 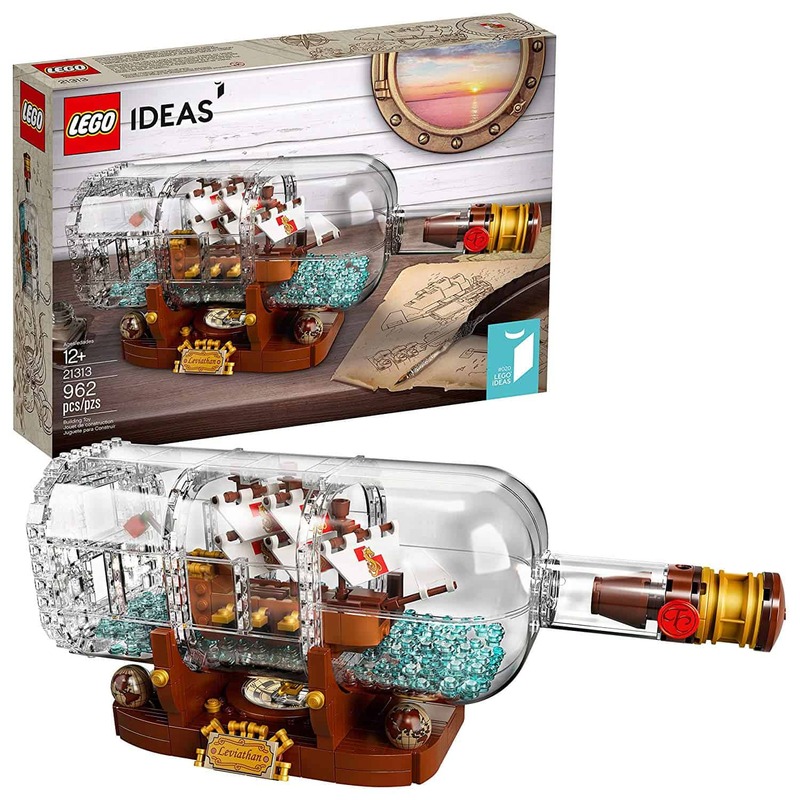 This would go great with a couple new books! Another great gift idea for teens, this one is perfect for anime fans! My son lives on Ramen and Anime, so I got this one for him to check out. 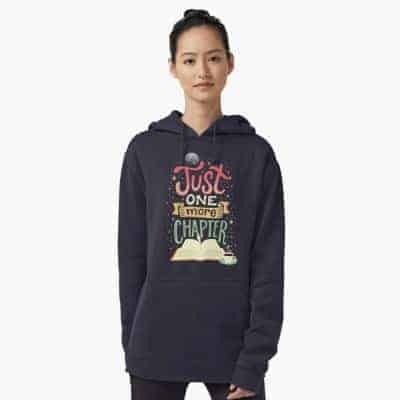 Like the Books hoodie, the colors are vibrant and the design is really high-quality. 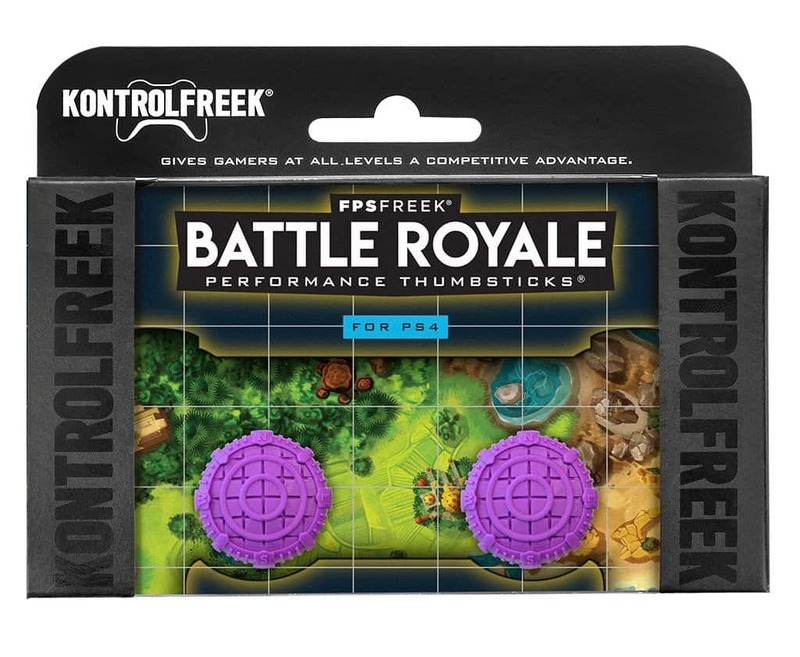 KontrolFreek products are on my son’s wish list every year. This year, he’s getting FPS Freek Battle Royale and the KontrolFreek Call of Duty: Black Ops 4 Grav Slam in his stocking. That way, when one pair wears out, he’ll have a backup. They do last about 6 months per set, depending on how much your teen uses them. Jake uses his pretty much every day, so I think 6 months is quite a good amount of time. New from Kontrol Freeks, these Gaming Lights are just so neat! The USB-powered LED strip kit easily attaches to your teen’s XBOX, gaming PC and more. Each kit is 18″ long and includes a connector so you can connect as many sets as you want. The in-line controller lets you change the light colors and blinking pattern. Check out some of my favorite gift ideas for pets as well as those of us who love them! 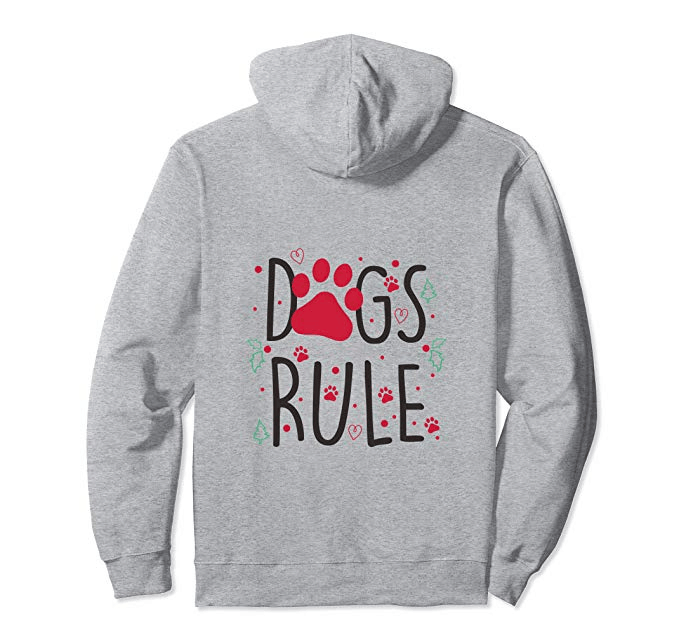 This adorable “Dogs Rule” hoodie is perfect for dog parents! It’s one of my favorite DogVills Hoodies. It also comes in long sleeves or as a t-shirt if you prefer that. 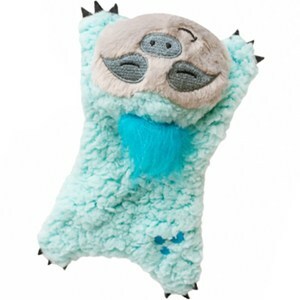 How stinking cute is this cuddly sloth toy for dogs? It’s filled with buckwheat and can be microwaved for warmth. The shell is machine washable, too. It’s meant to be a cuddle toy, so if your dog chews up everything, it may not be the best option. Honestly, I would buy it for myself!! 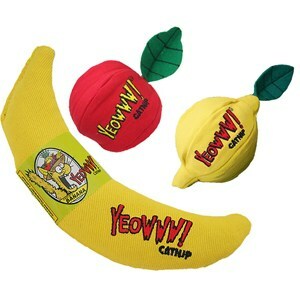 We have quite a few cat nip toys, but I don’t think any are as cute as these! It is 100% stuffed FULL of premium, organically grown catnip. No cotton fillers, no plastic, and no cheap “toy filler” stuff. 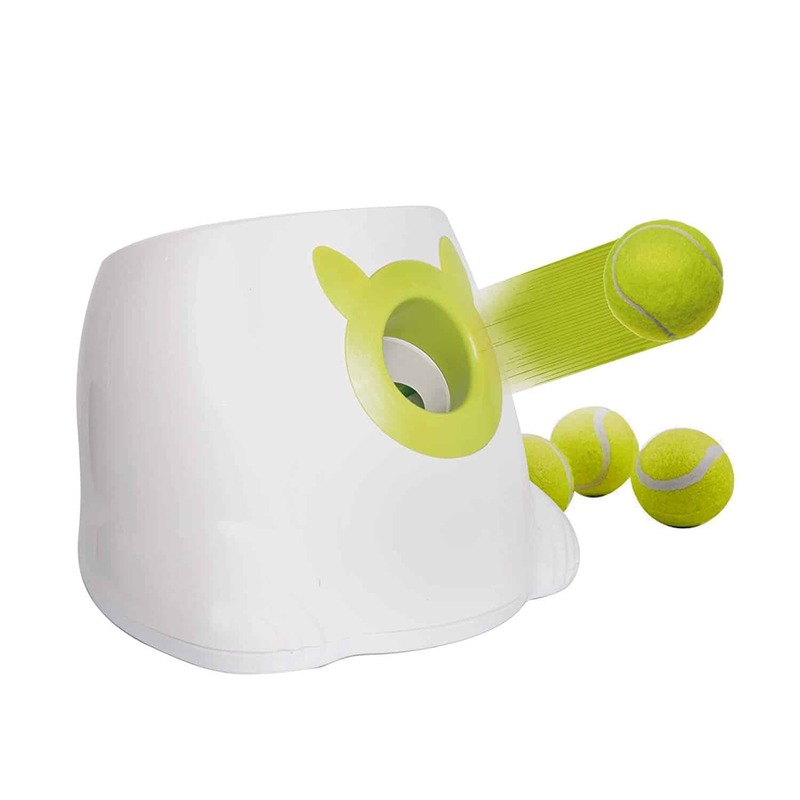 I looked at a few different ball launchers, and this one had the best overall reviews for a relatively reasonable price. I really wish I had one when my Tasha was still alive. She was obsessed with fetch! It includes a remote control and three different settings. Plus, you can use batteries or the included AC adapter plug! 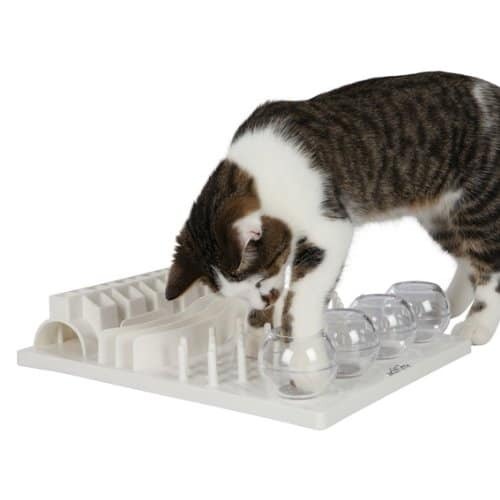 If you’re looking for a fun interactive cat toy to give your kitty for the holidays, this one has terrific reviews! It’s like 5 games in one. Cats can scoop treats out of little fish bowls, hunt through pegs for them,find mice toys hidden in the tunnel, and more! It’s super reasonably priced, too! 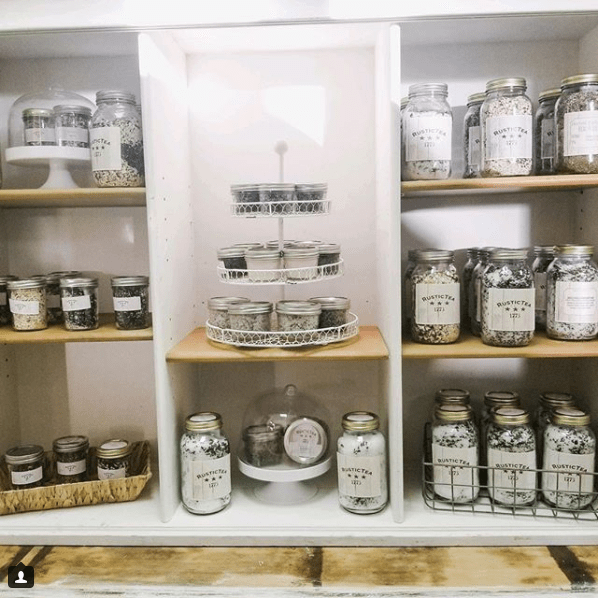 Rustic 1773 Mercantile in Oklahoma makes, among other things, beautiful bath teas and soaps at some of the best prices I’ve seen in this category. They sent me two of their bath teas to try out, and I am in love. They smell incredible and create such a relaxing experience. I also tried out one of their soaps, which was just amazing! Everything is gentle enough for sensitive skin. Hemp oil is a fantastic Secret Santa gift that frazzled friend who is impossible to shop for. 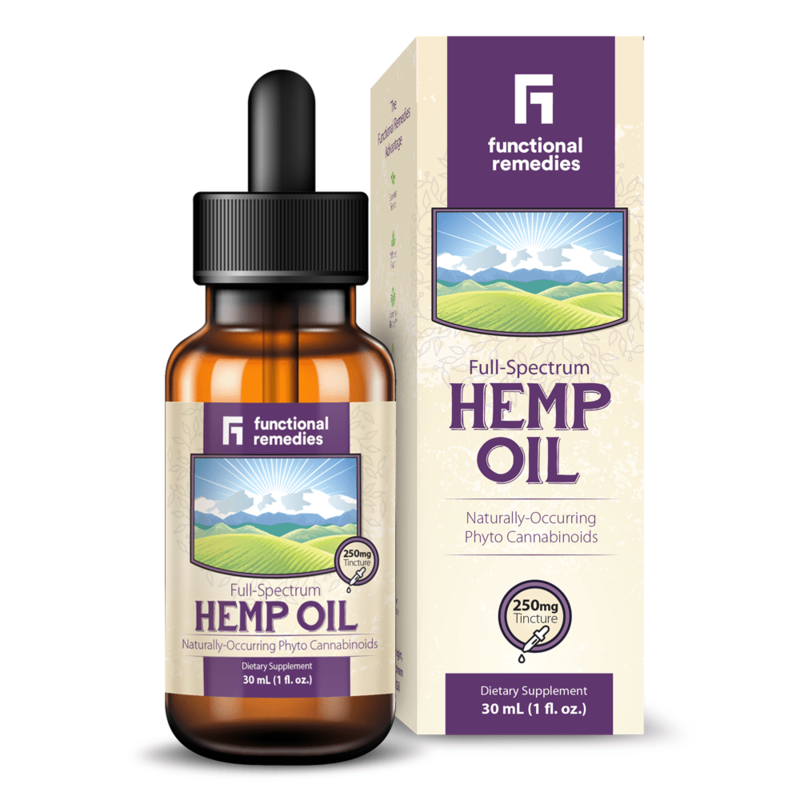 Functional Remedies offers a range of hemp oil products that use the whole hemp plant, including tinctures, capsules, and ointments. I love it because it really helps with my anxiety-induced insomnia if I take it at night. Since the products contain such a minute amount of THC, they can be shipped anywhere in the US. If you have concerns about the appropriateness of this gift idea, I highly recommend checking out the FAQs on Functional Remedies’ website. Christmas and candy go together like peanut butter and chocolate, right? 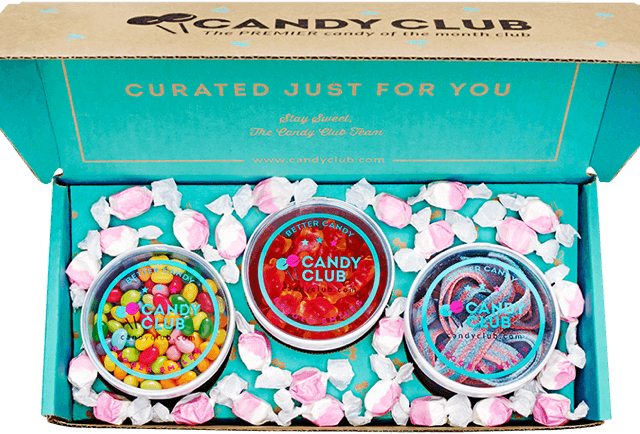 With Candy Club, you can give your favorite hostess or Secret Santa friend an yummy gift that keeps on giving with a subscription, or you can buy a one-month subscription for yourself and hand out different candy to multiple people. Choose from 3 or 6 tubs of candy! If you go through my link in the buy button, you’ll get $20 off your first order! I’ve been obsessed with Badger Balm ever since Jake was an infant and I tried their Baby Balm. 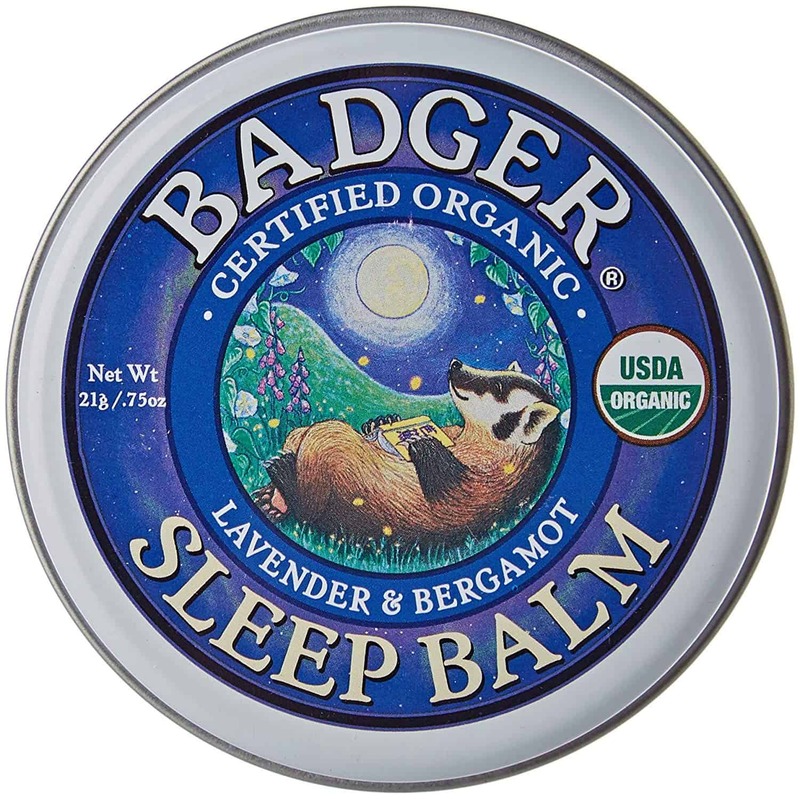 The Sleep Balm is one of my favorites, and it makes a great inexpensive gift for just about anyone on your list. The relaxing scent is just what we all need during the crazy holiday season, and the balm itself is great for dry skin. Coffee is one of my favorite hostess gifts to give (and receive!). Central City Coffee tastes amazing and comes in such fun blends, like Punk Princess and Solstice Sister. Plus, when you give Central City Coffee, you’re also giving back! 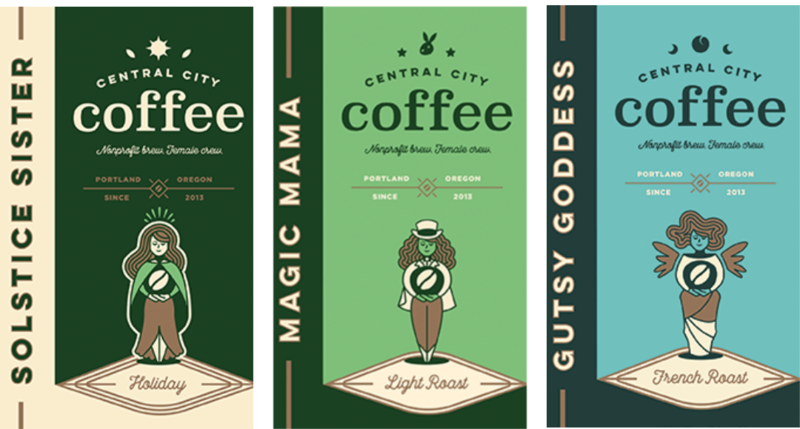 Created by Central City Concern – the organization employees Portland’s homeless population, putting them to work producing delicious craft coffees! CCC also sources the beans specifically to enhance economic growth in coffee producing countries. The Akamai Essentials Kit makes a Secret Santa gift idea for college students, travelers, and more. It includes: mineral toothpaste, 3 in 1 Bar (wash, shave and shampoo with one bar), and a bottle of Skin Fuel (promotes healthy skin and hair while moisturizing, conditioning, and soothing). You can also use each item as individual stocking stuffers! All products are made in the USA and completely natural. No nasty chemicals! 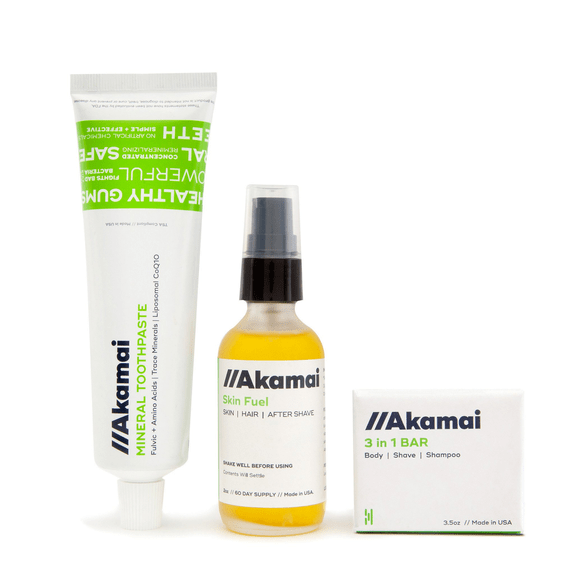 Give the gift of beautiful skin with the Akamai Dry Brush! 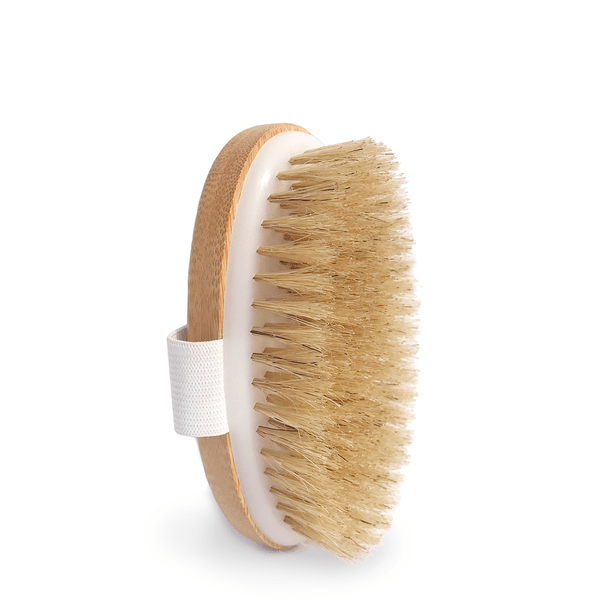 The natural bristle brush gently removes dead skin cells and stimulates circulation on the surface, while energizing your body’s detox system beneath. Makes a fabulous stocking stuffer for teens, moms, and even for guys! The boar bristles are cruelty-free, taken only after the boar sheds them during molten season. They are sterilized first, obviously. 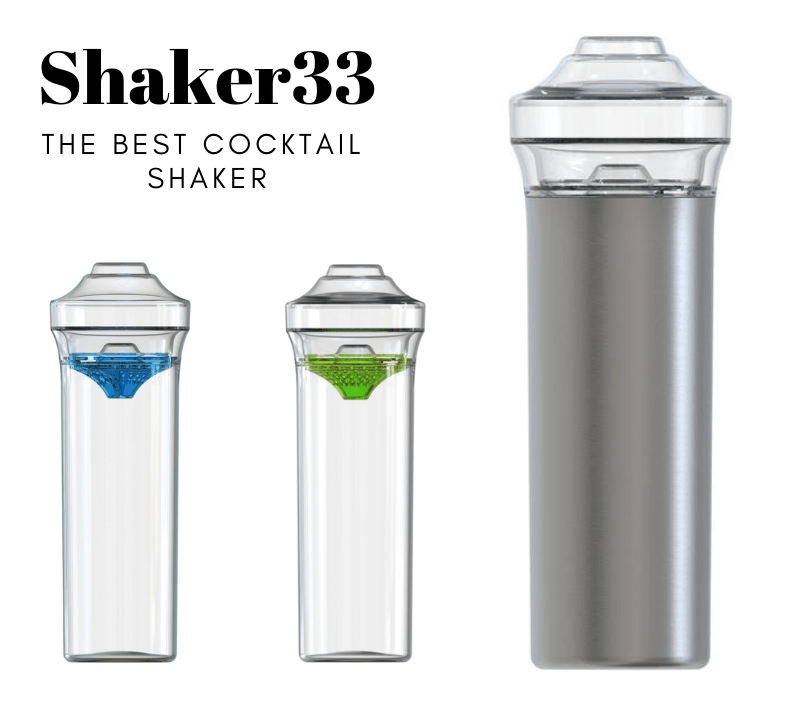 Shaker33 calls itself “the best cocktail shaker since Prohibition,” and it’s easy to see why. Not only is it totally stylish, but it’s leak-proof, easy to open, and lets you make cocktails with just one hand. Even better? That one hand stays warm, as it chills the drink and not your fingers! This is a fantastic hostess gift for anyone who loves mixing up cocktails. It’s also great for making non-alcoholic drinks! 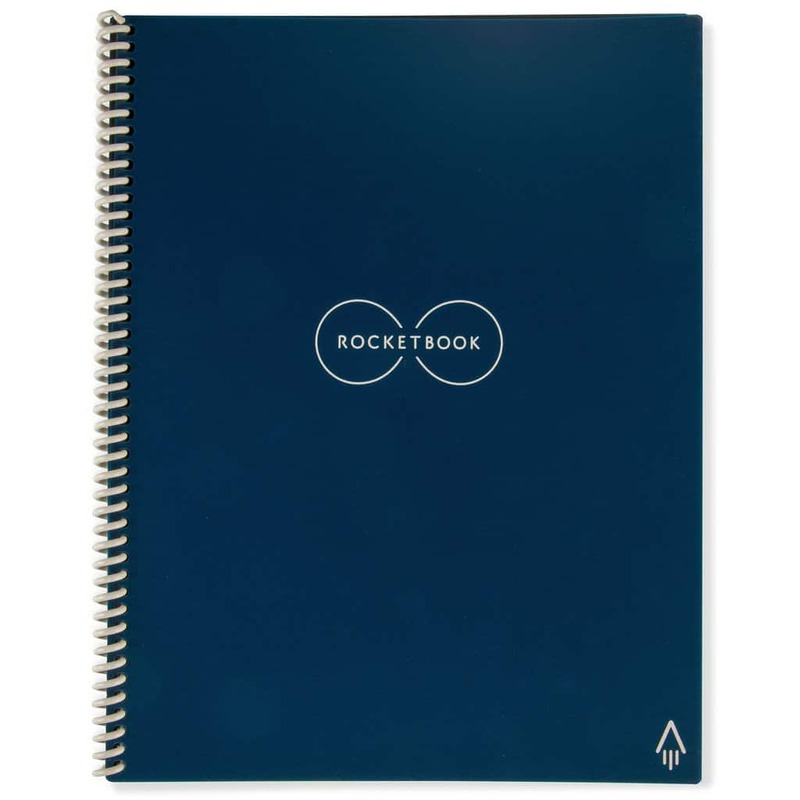 Rocketbook Everlast makes a fun and unique Secret Santa or stocking stuffer gift! It’s erasable, reusable, AND connected to all your cloud services. Just write using a Pilot FriXion pen (one is included), and the ink stays put until you erase it with a moist cloth. Snap a picture of your writing or drawing and it uploads to the destination of your choice (Google Drive, Evernote, Dropbox, and more). SO COOL! 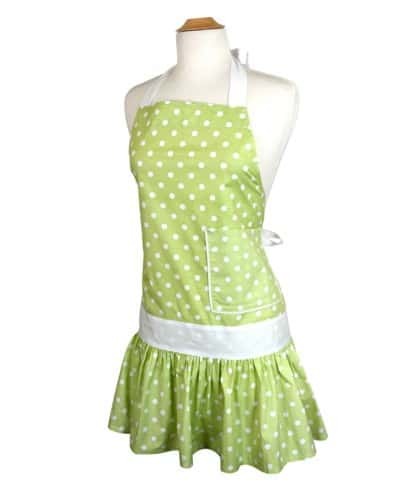 Flirty Home Aprons make fabulous hostess gifts, especially if your host loves to cook! They come in a ton of adorable and fashionable styles. The Mint-A-Licious Apron is festive enough for the holidays, but neutral enough to wear all year long. 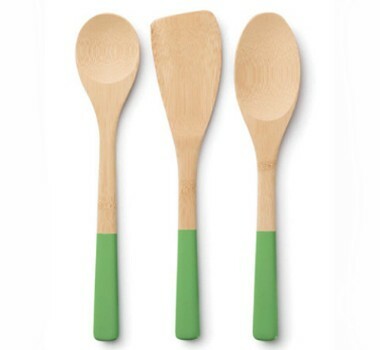 Another great hostess gift idea for people who love to cook, the Bamboo Trio Utensil Set is certified organic and totally free of bleach pesticides. They won’t scratch cooking surfaces or absorb flavors, either. Plus, they’re super cute! I found this one on Amazon’s Launchpad and it really intrigues me. If you have a friend who loves the combination of sweet and spicy, this would be a unique gift idea! 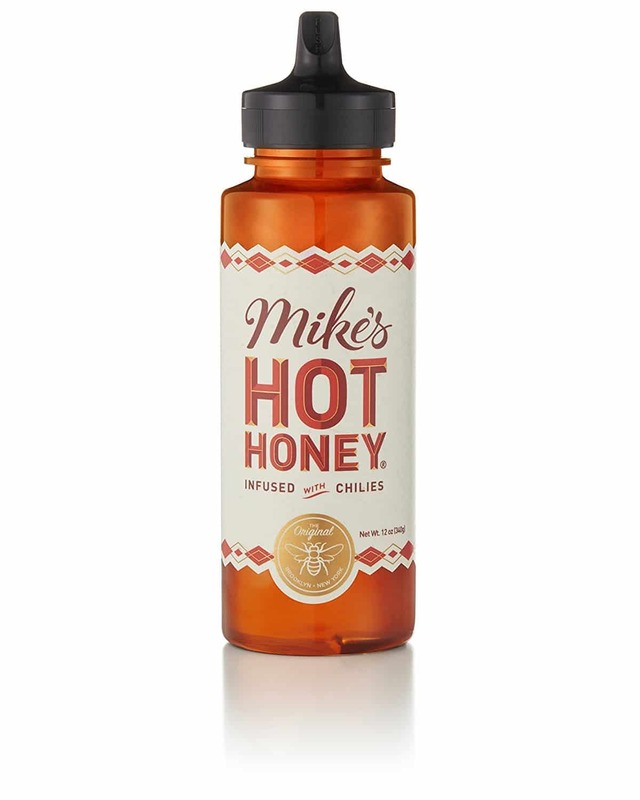 The honey has chili pepper added to it for a spicy kick. At under $10 a bottle, it’s a great budget-friendly option! 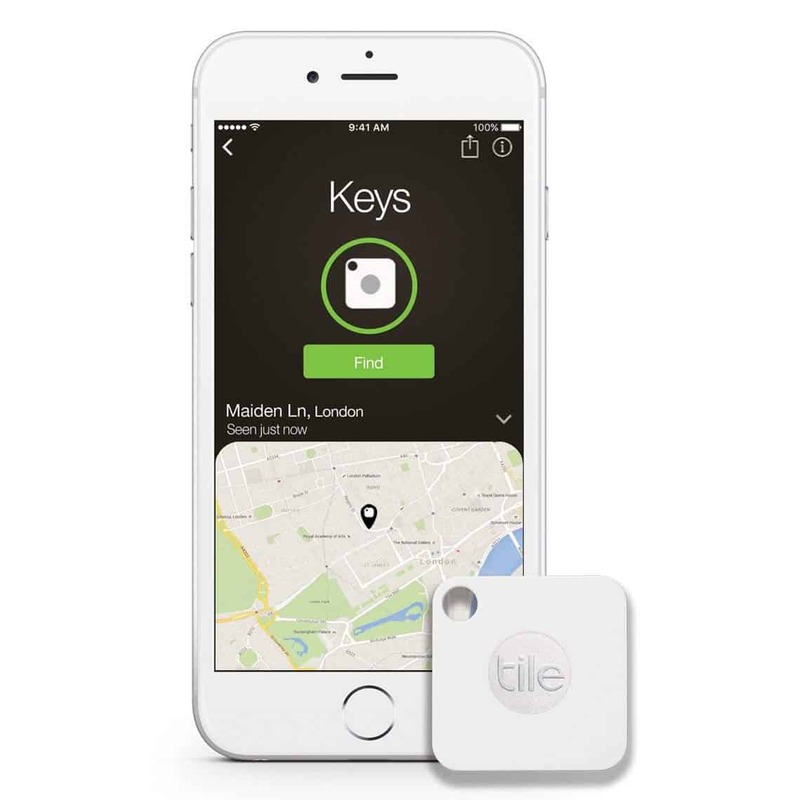 Tile Mate helps you find your lost keys, phone, and pretty much anything else that you can stick it on. It will even ring your phone in silent mode to help you find it. It’s definitely a gift that anyone can use. Comes in a 4-pack or as a single Tile, so you can choose the one that fits your budget.